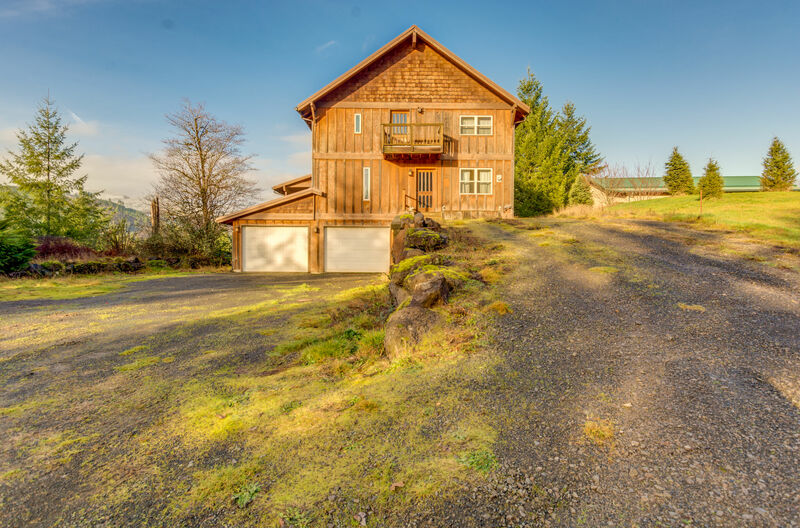 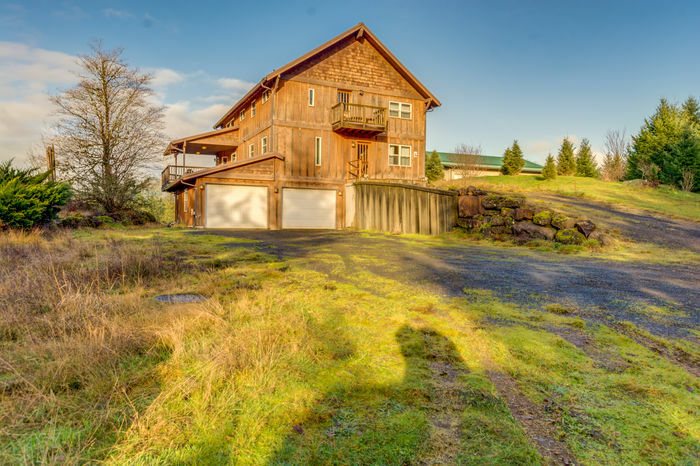 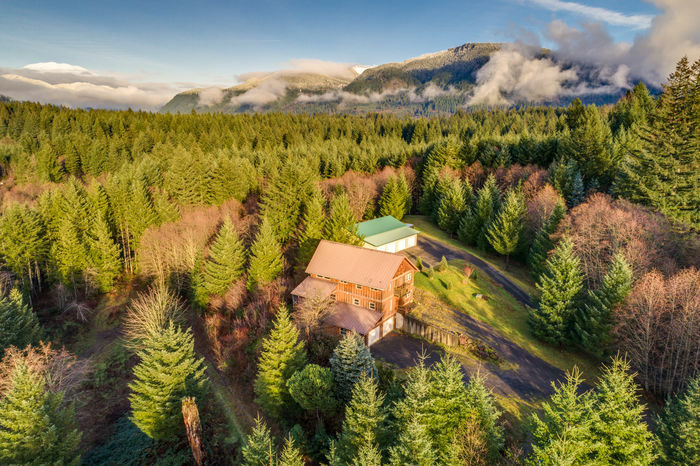 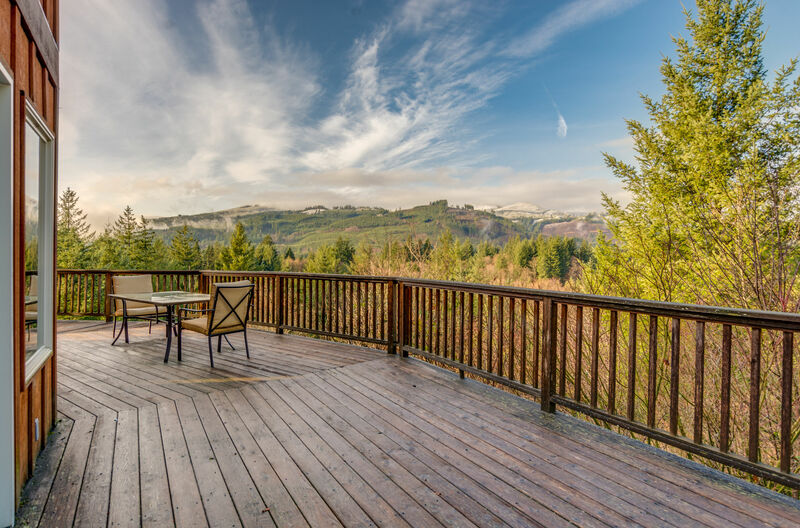 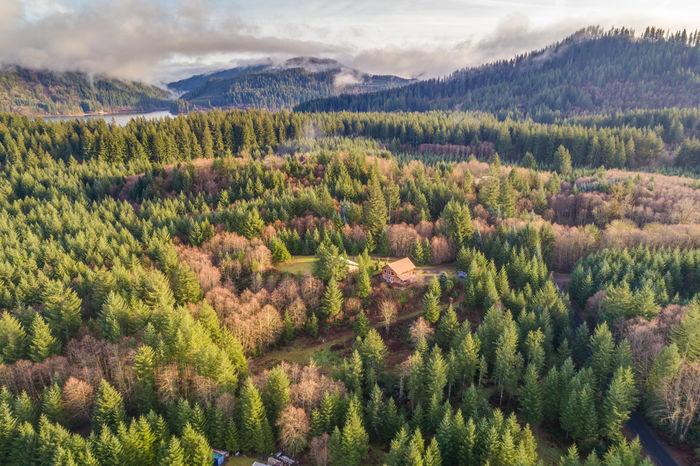 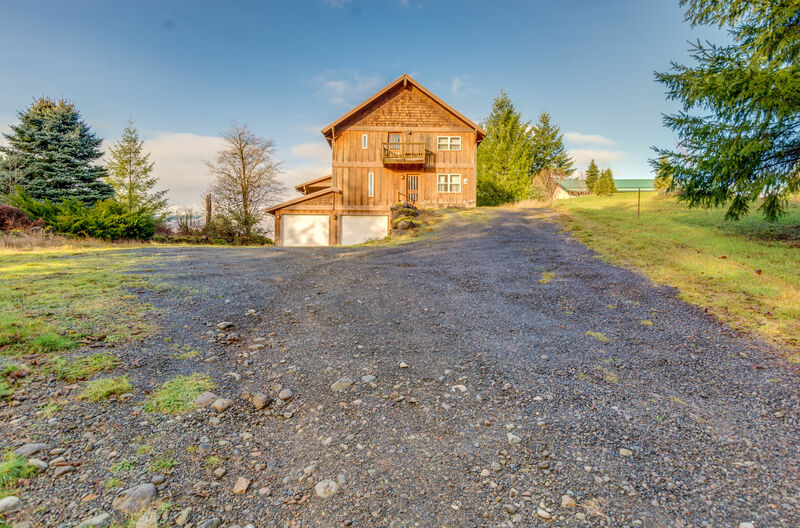 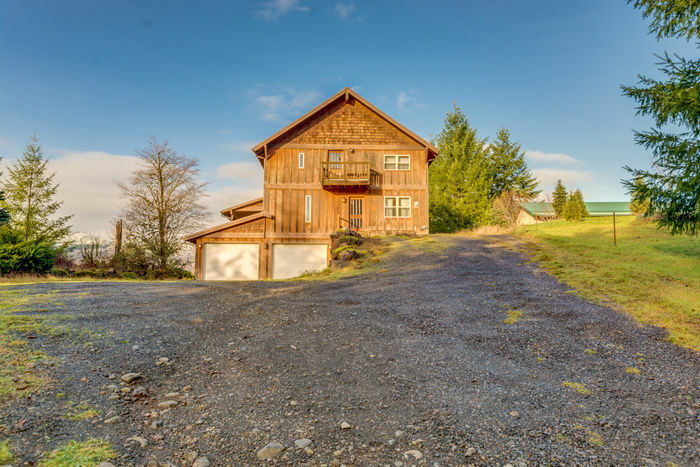 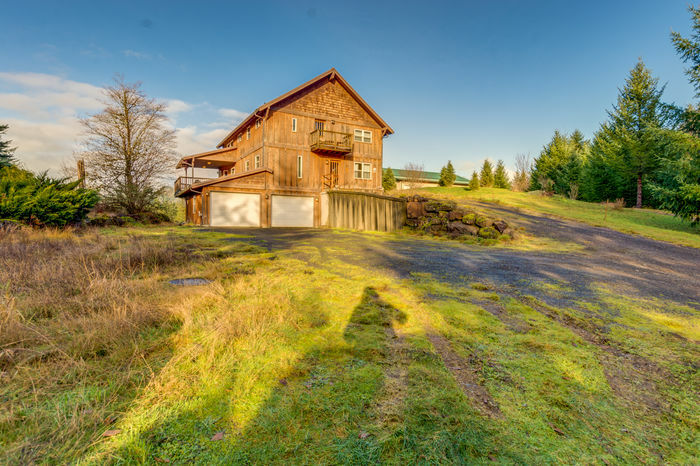 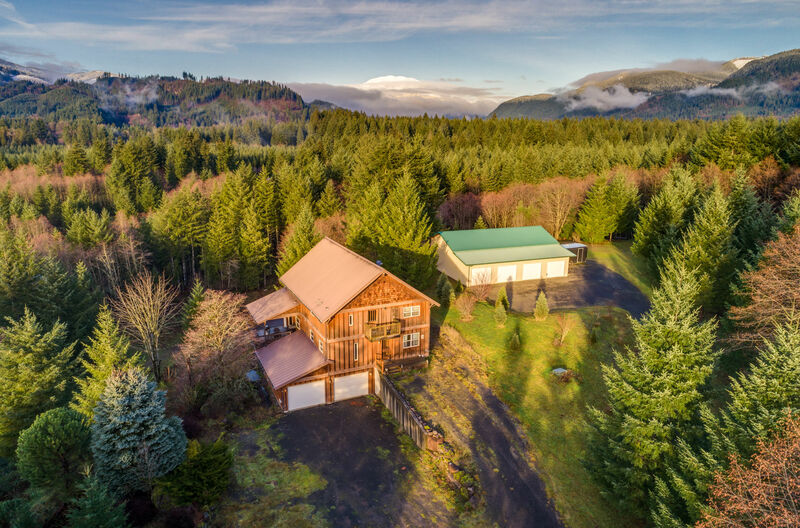 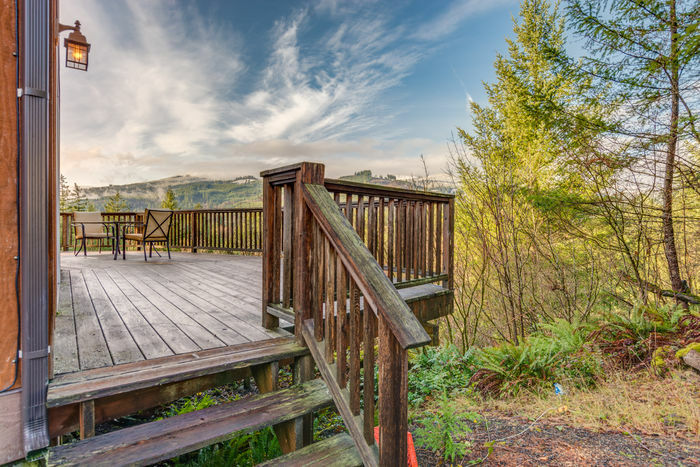 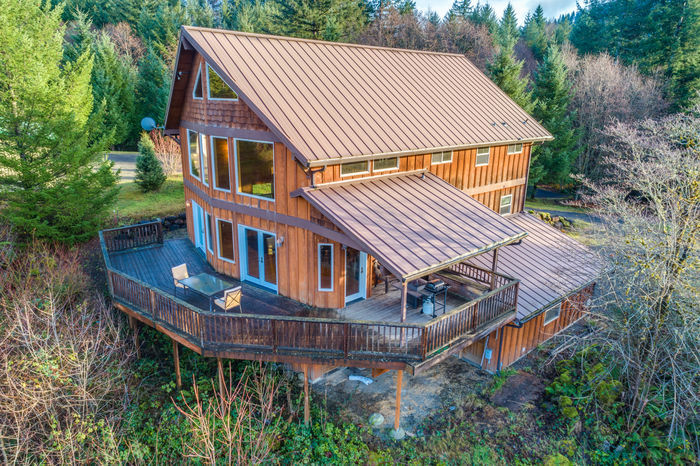 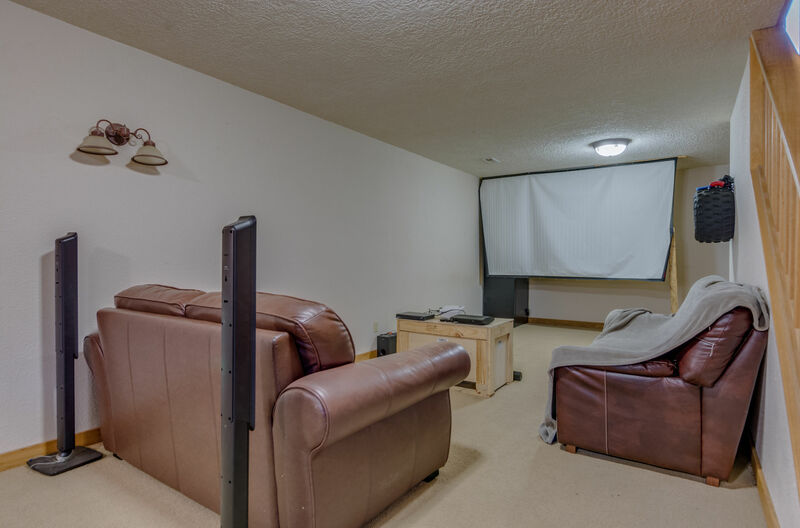 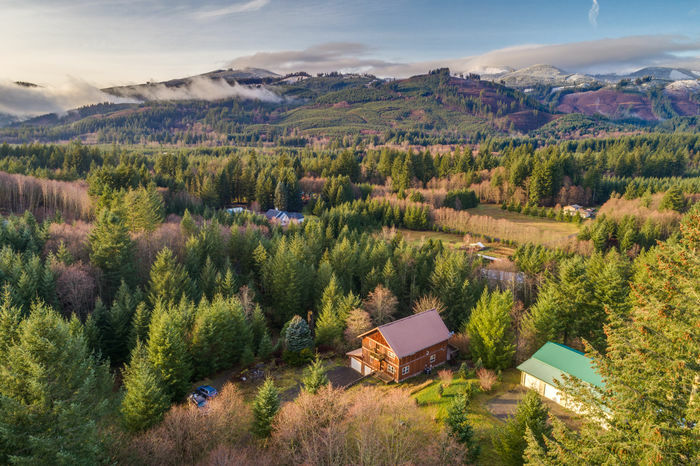 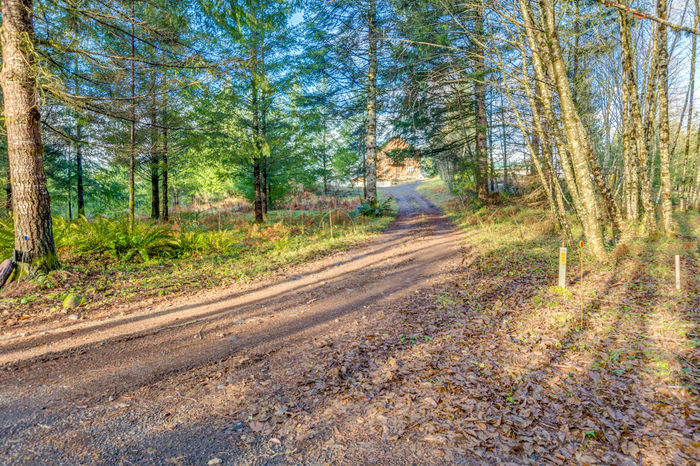 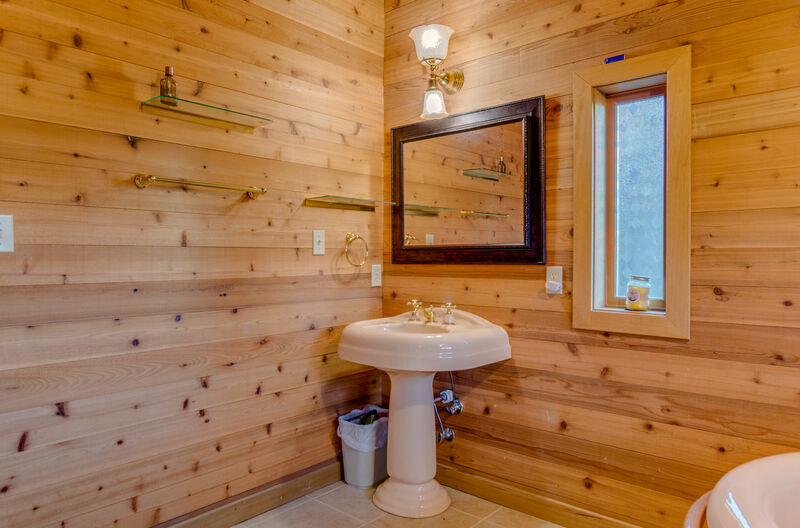 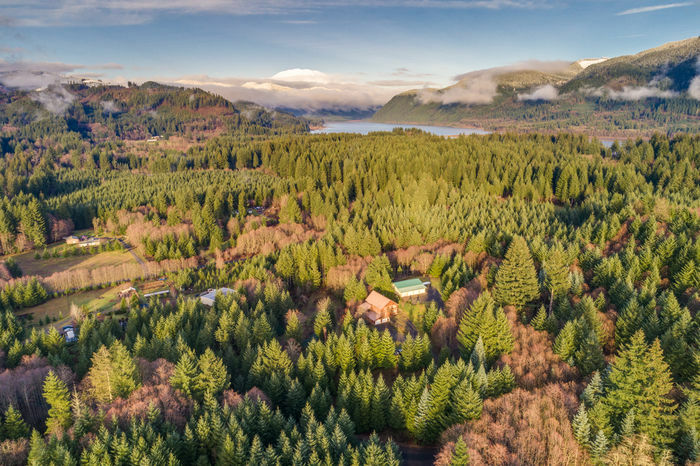 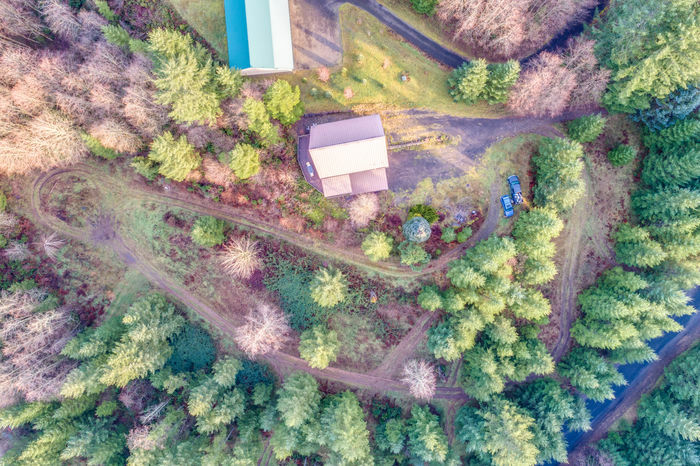 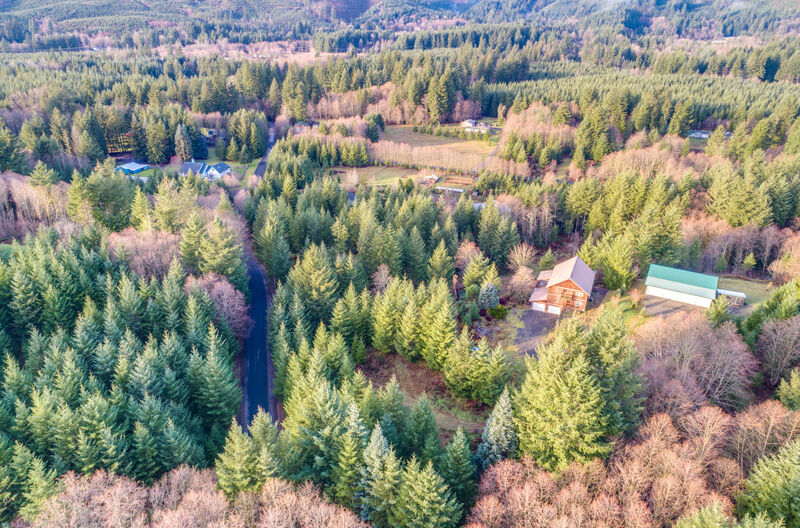 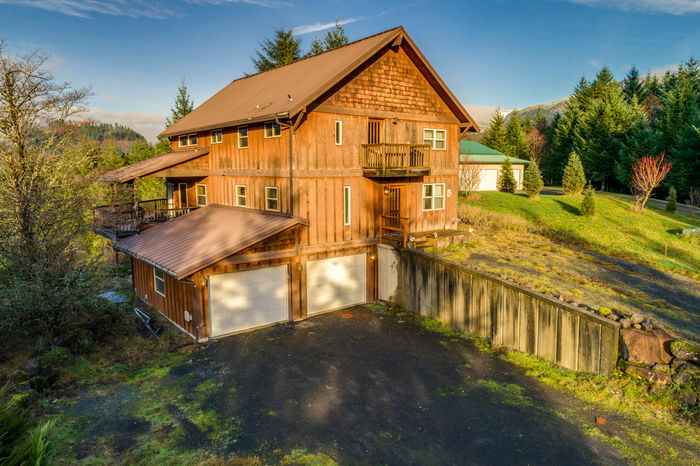 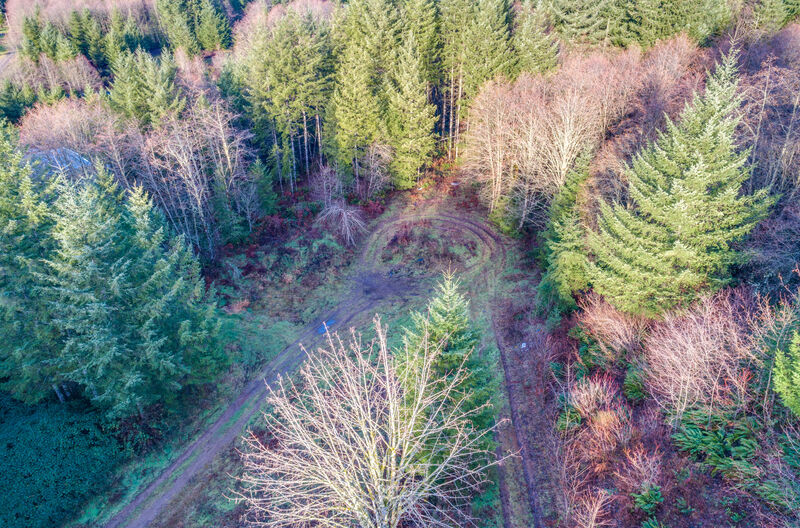 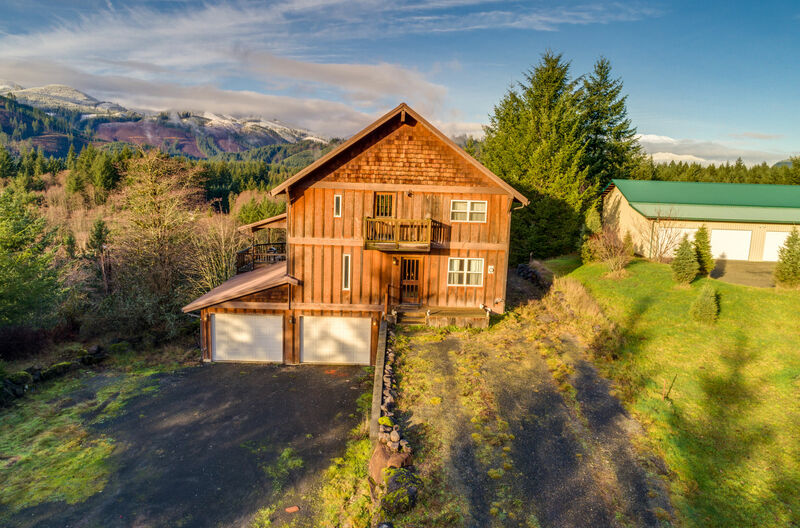 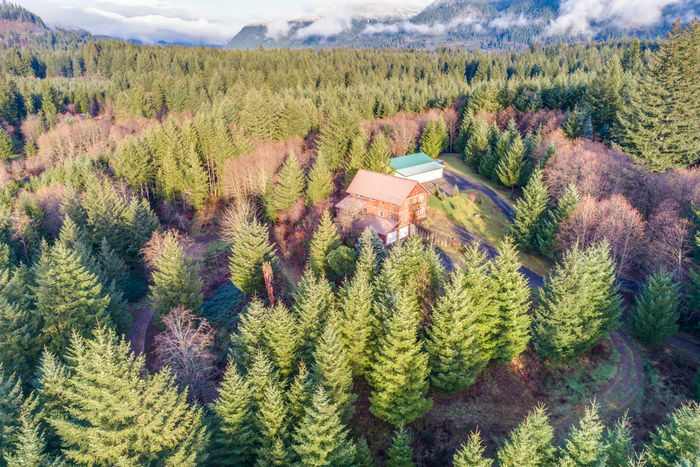 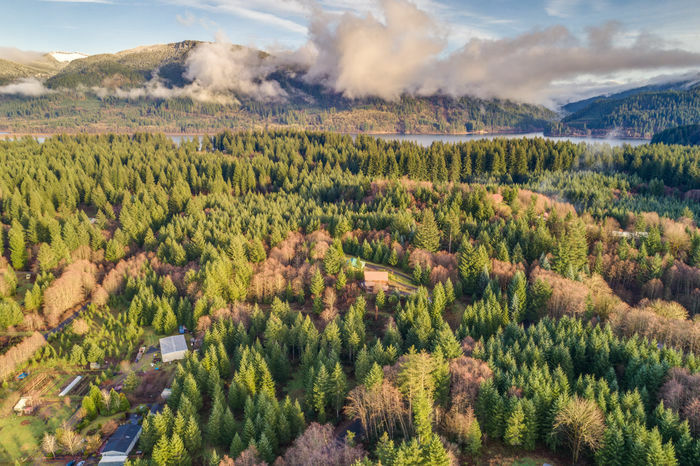 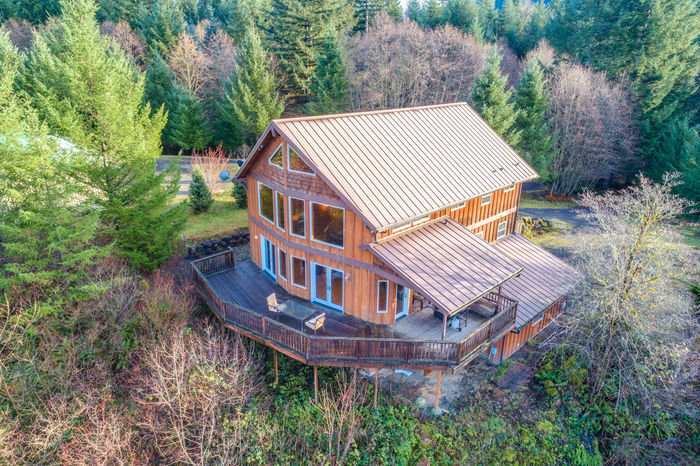 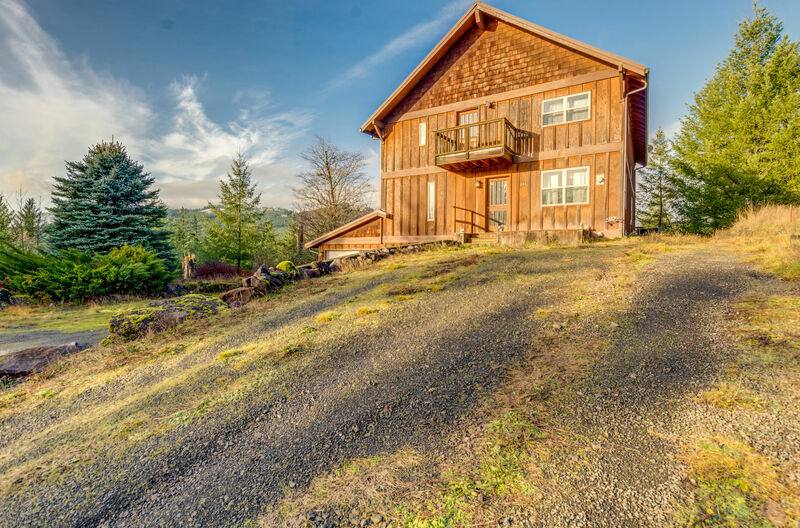 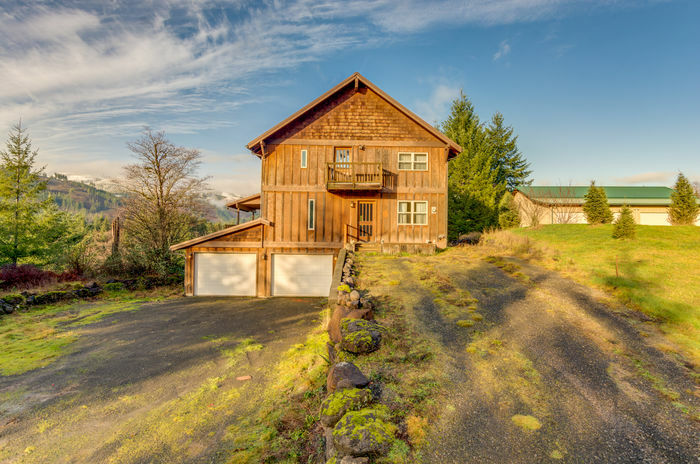 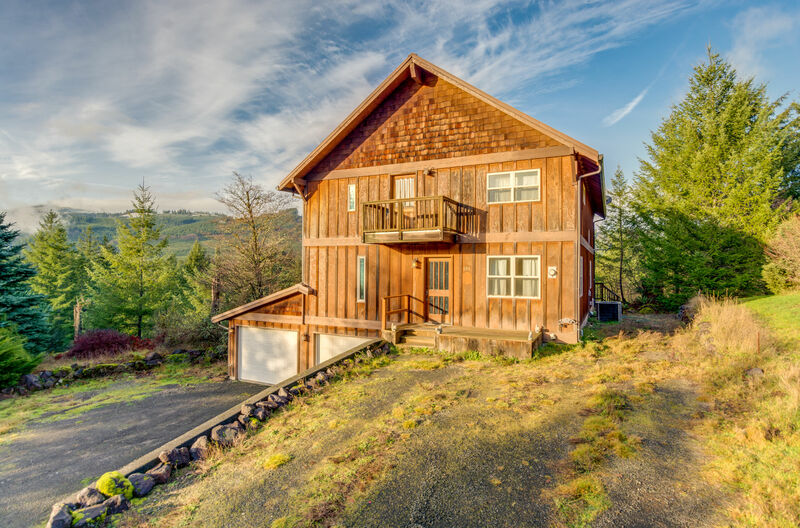 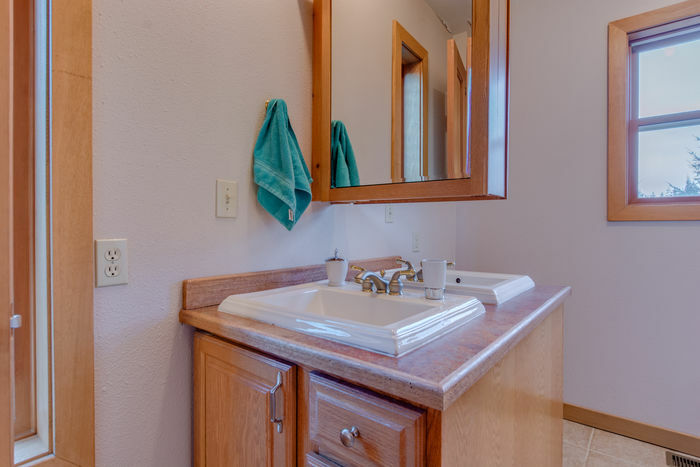 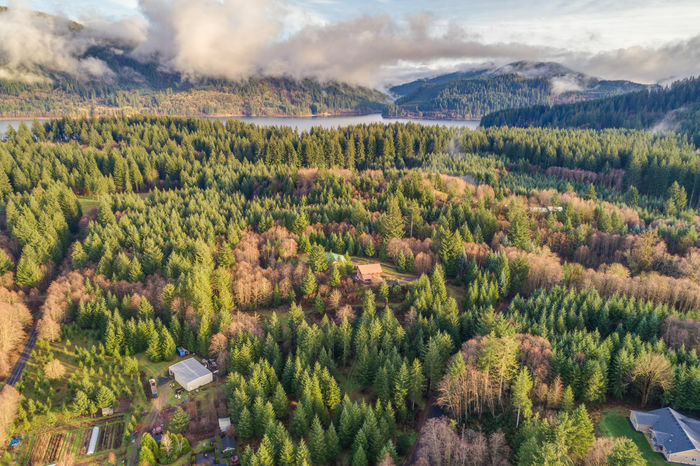 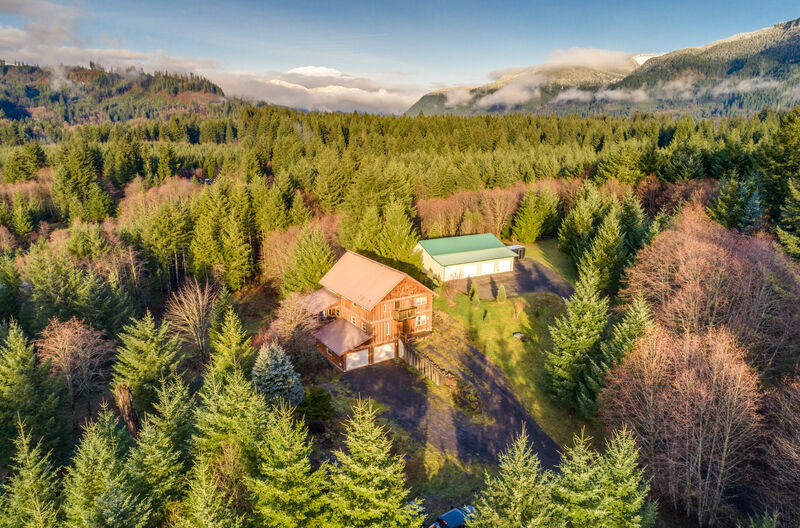 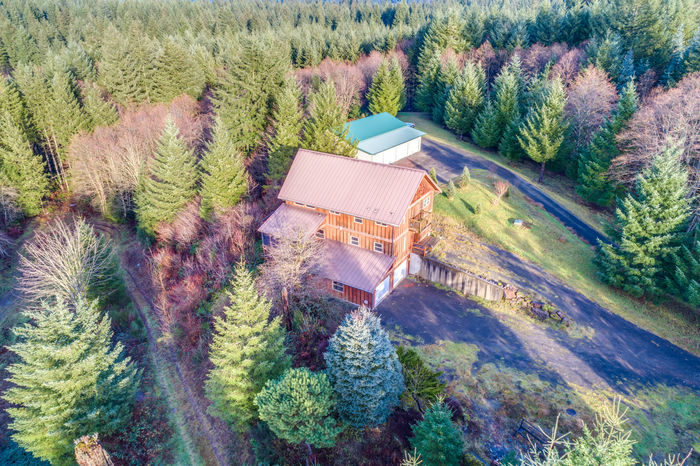 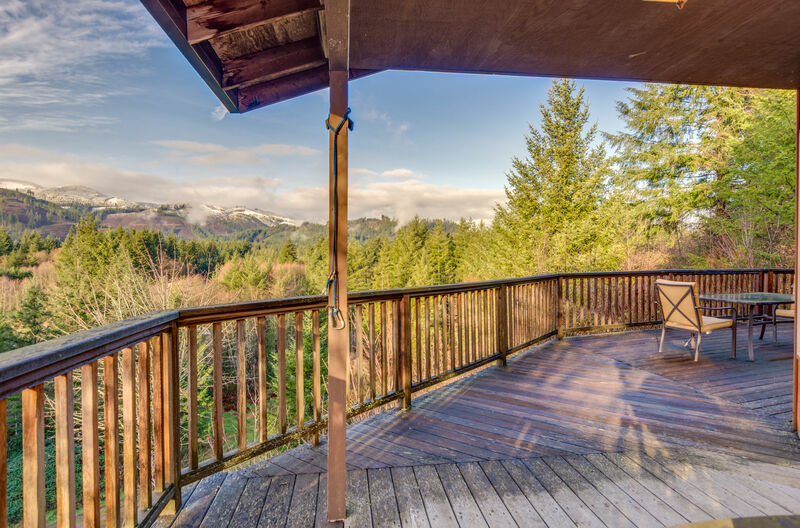 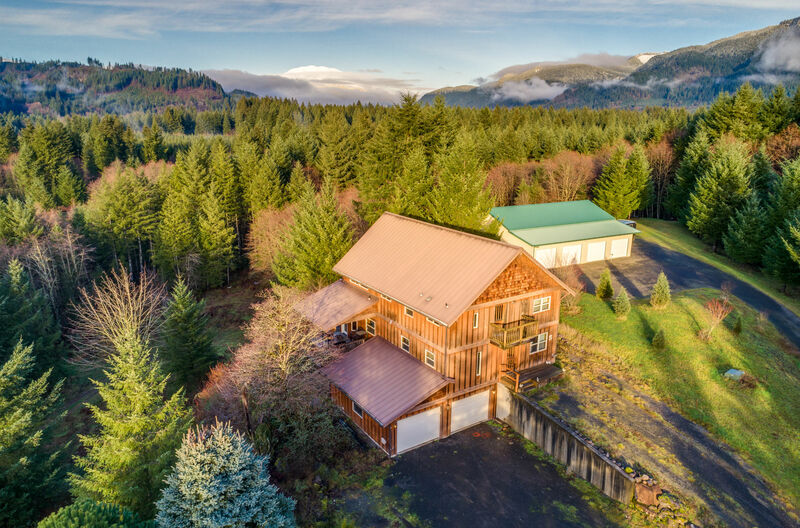 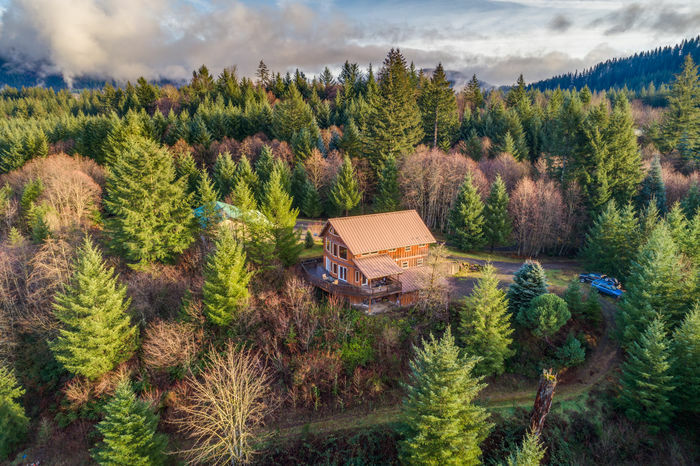 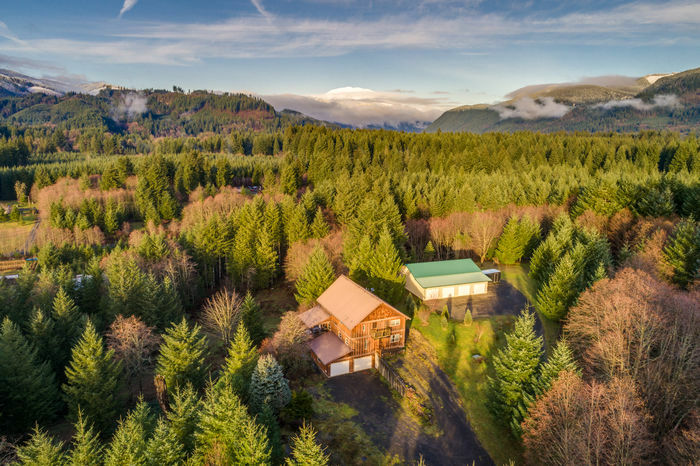 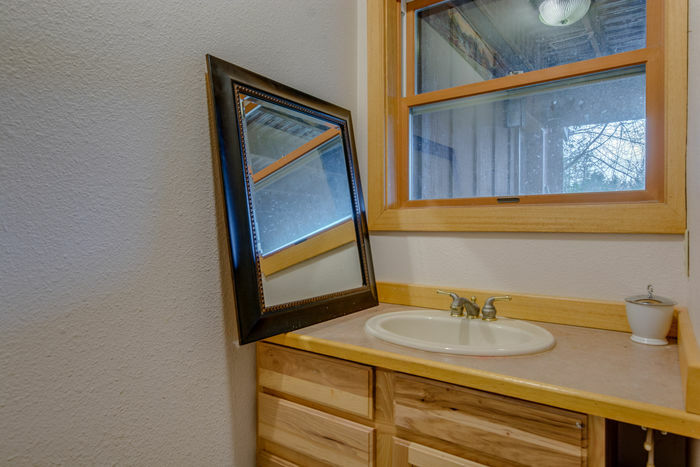 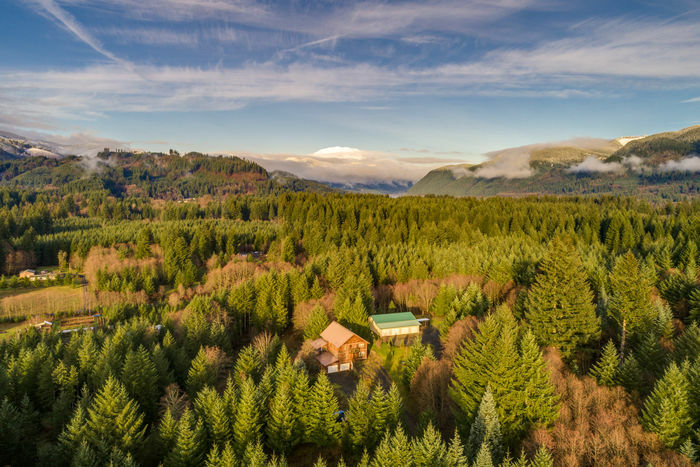 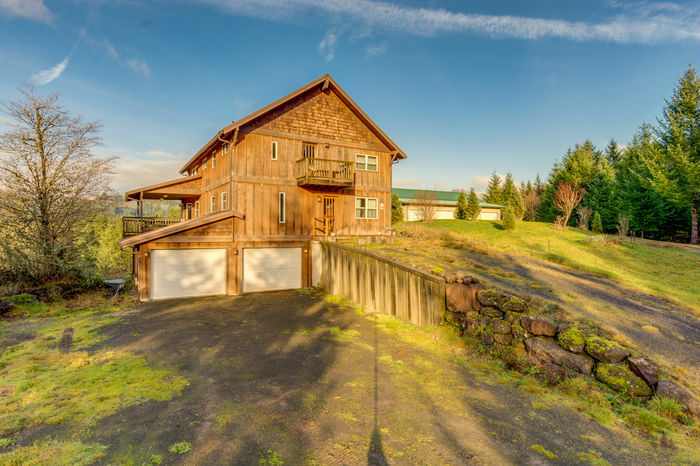 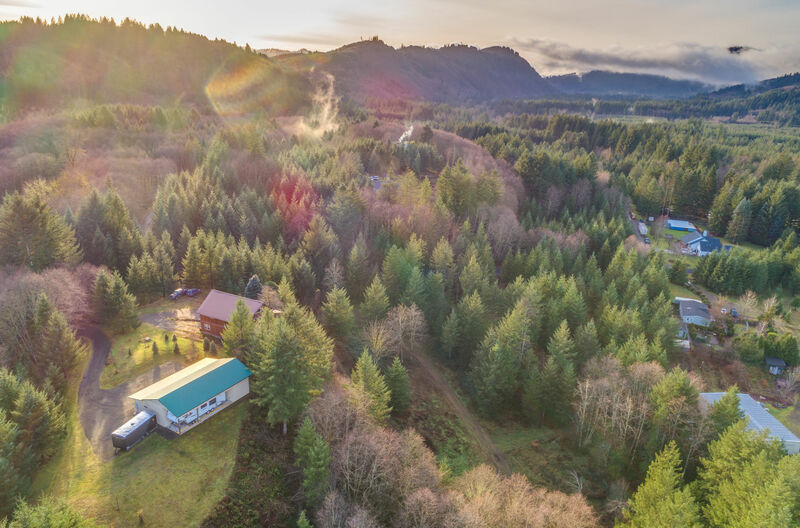 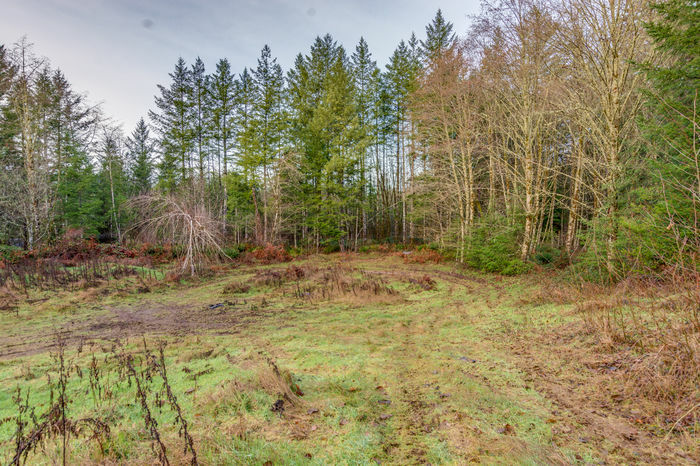 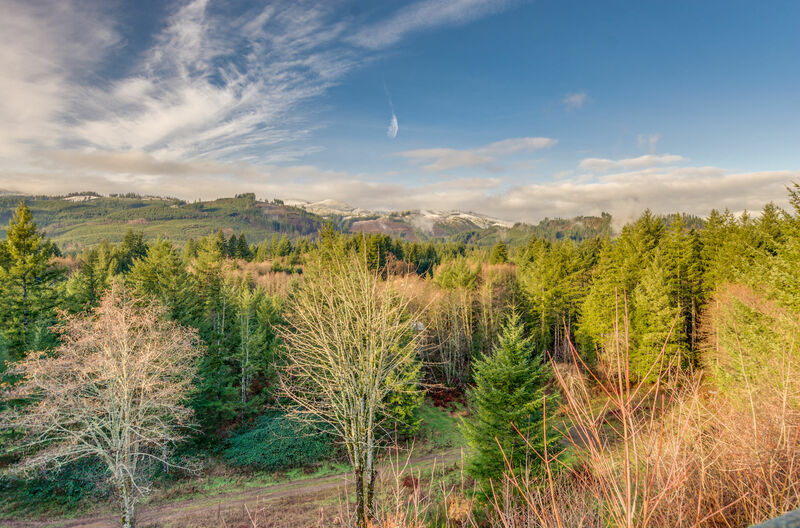 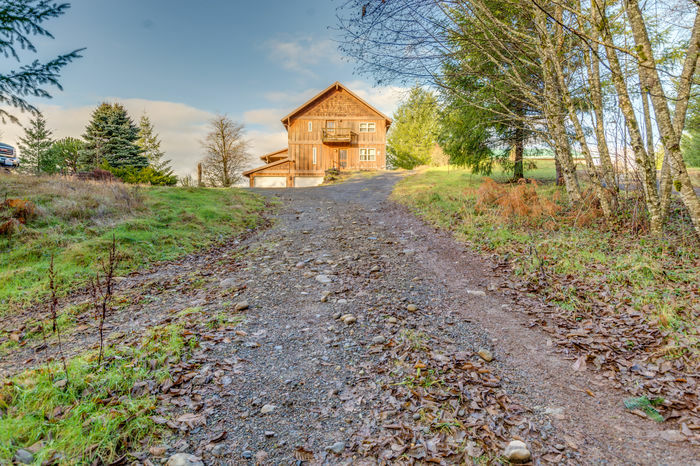 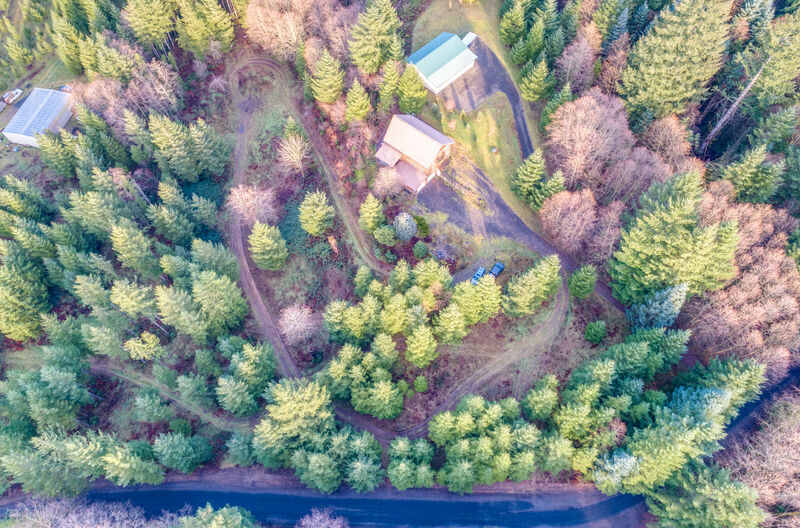 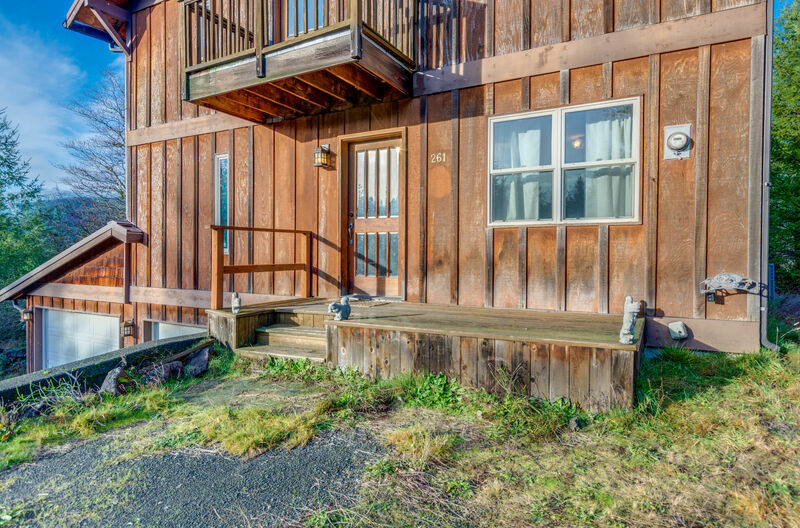 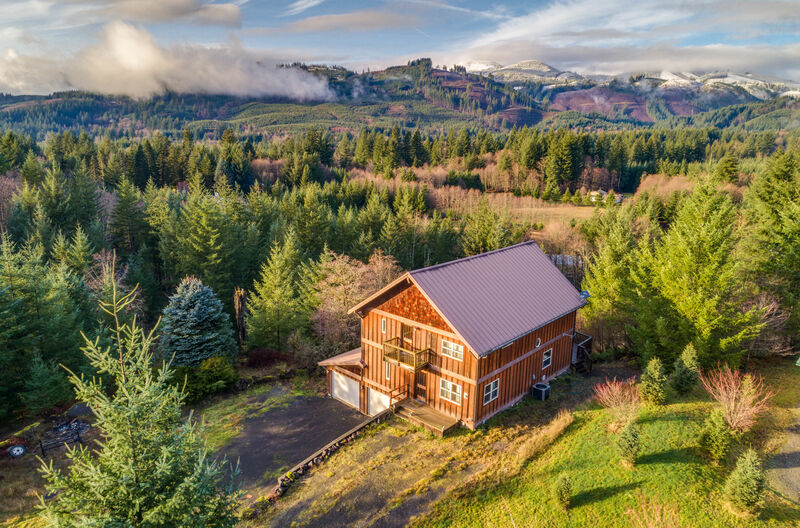 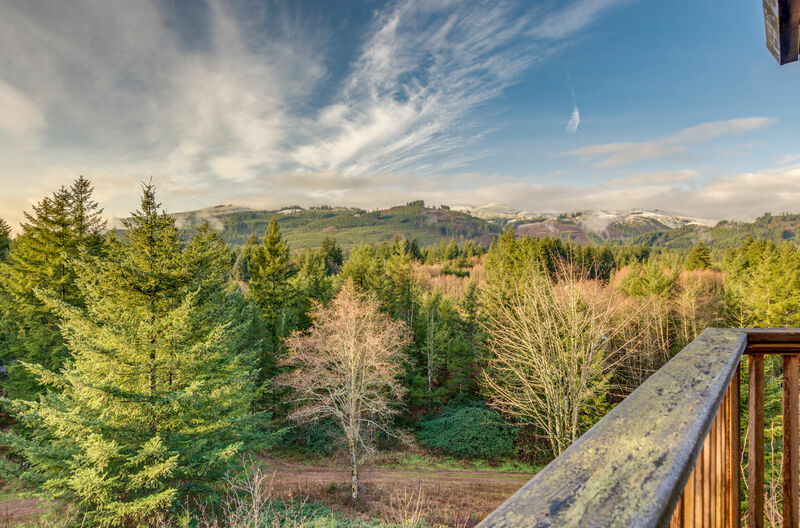 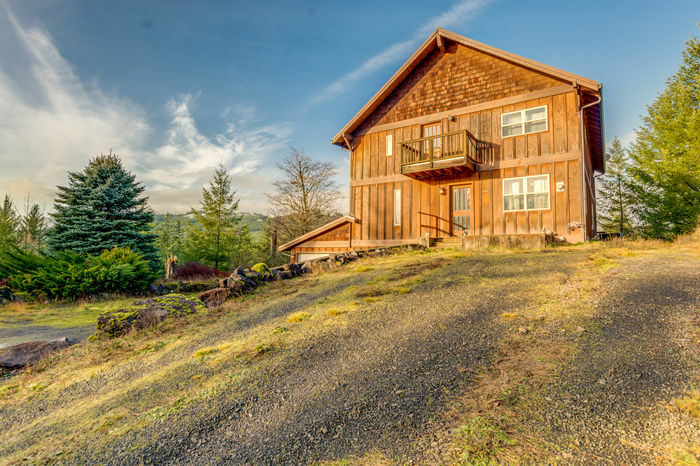 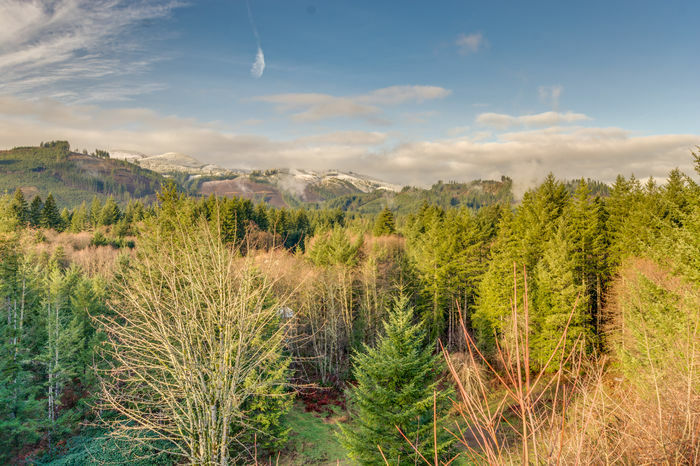 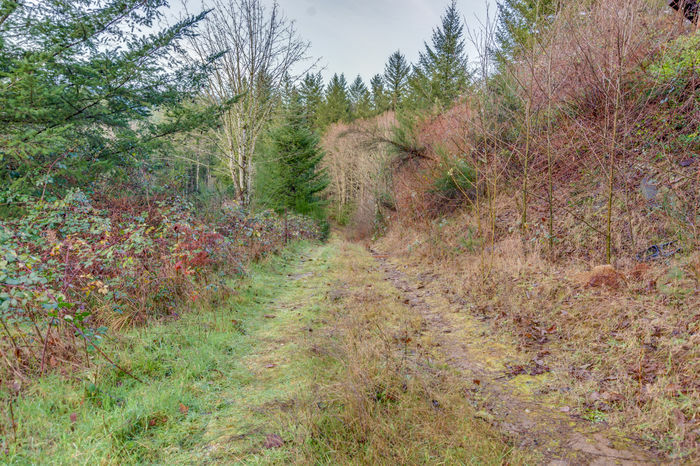 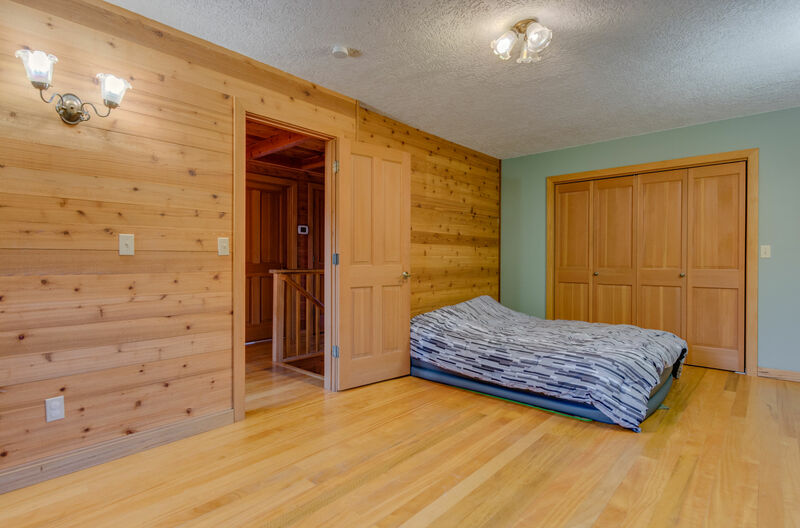 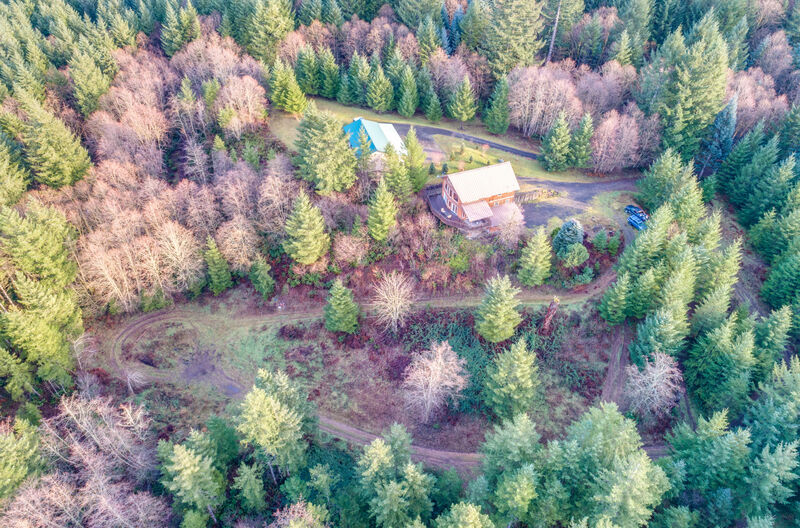 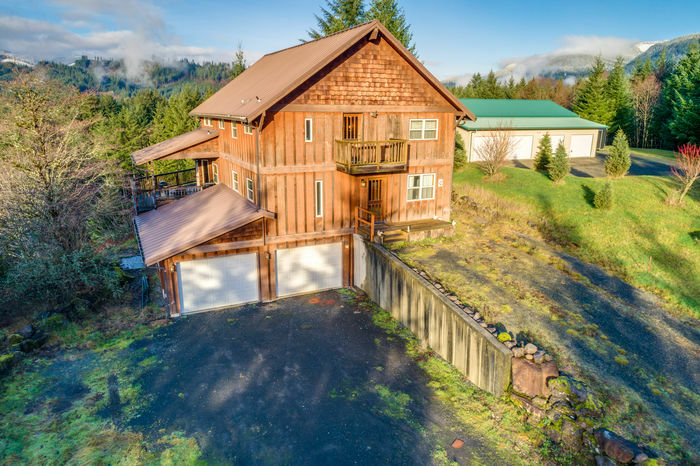 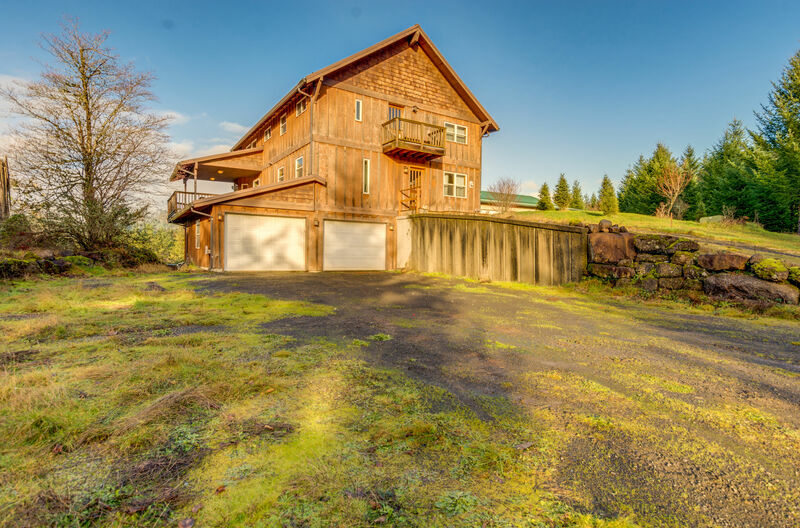 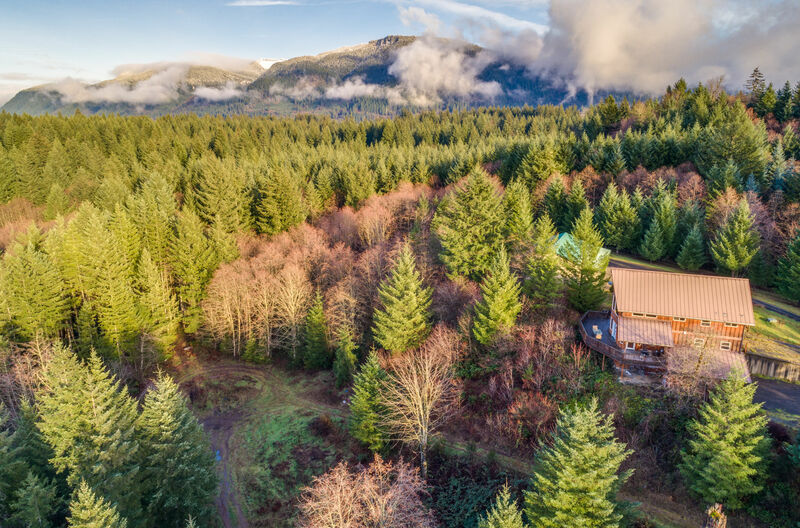 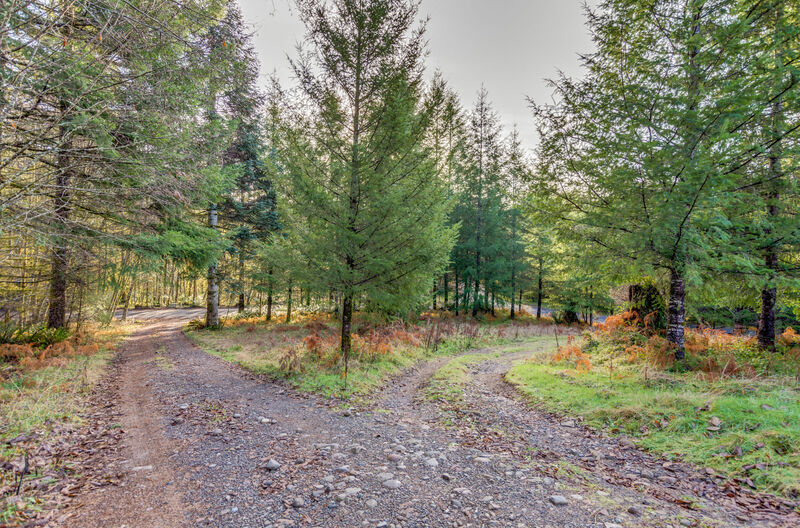 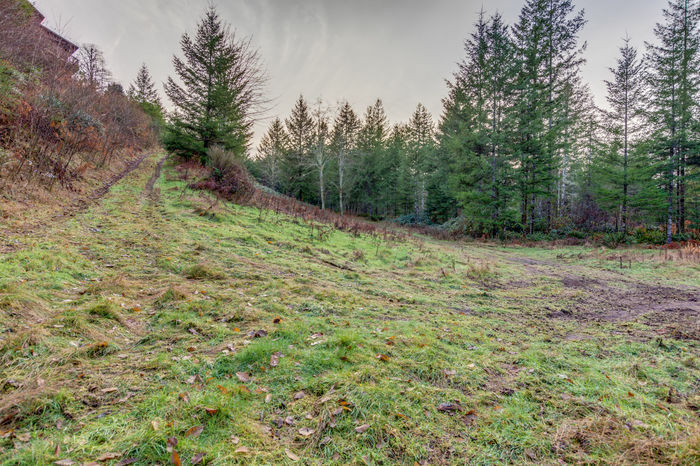 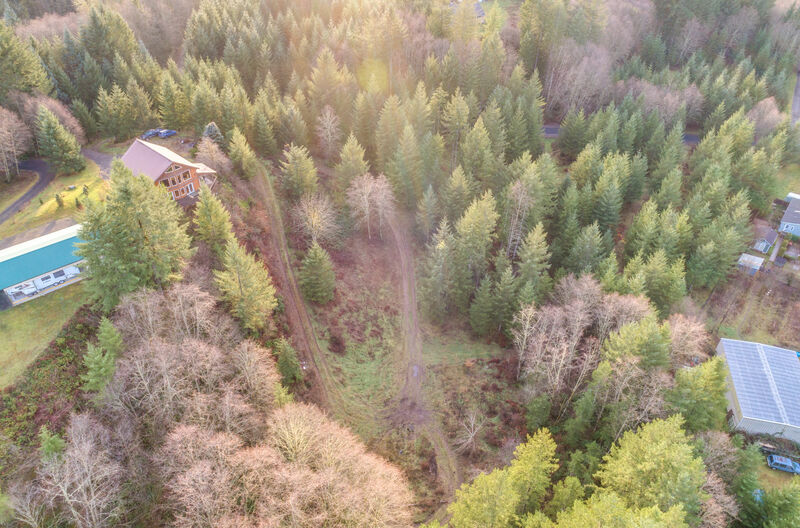 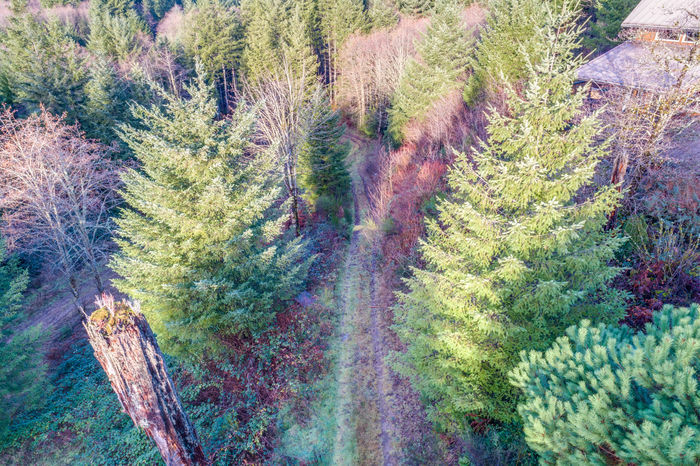 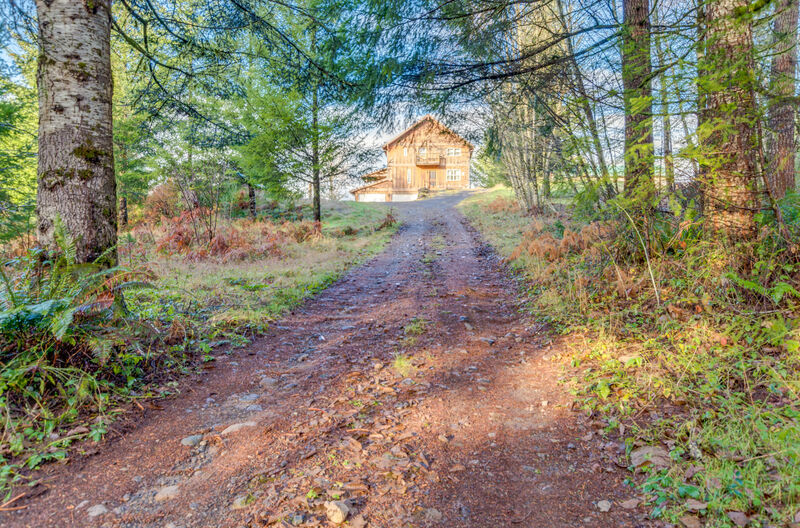 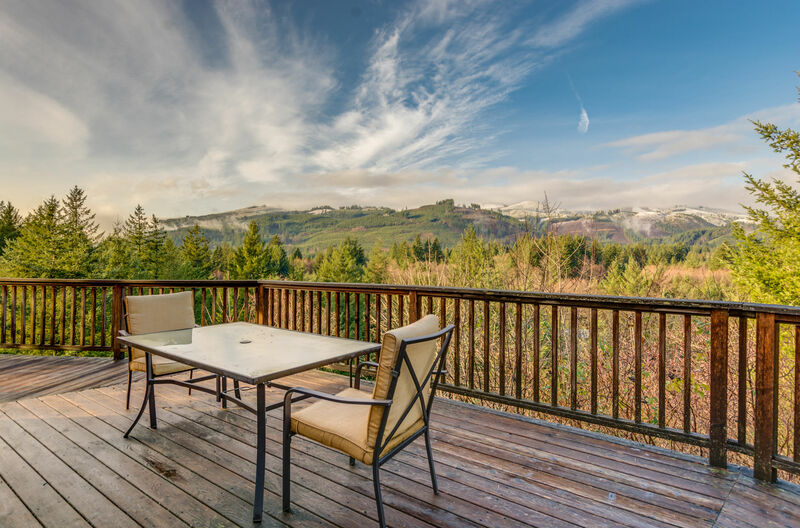 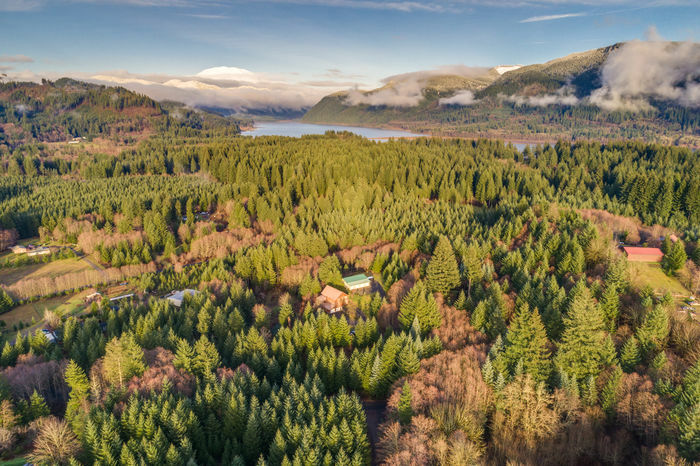 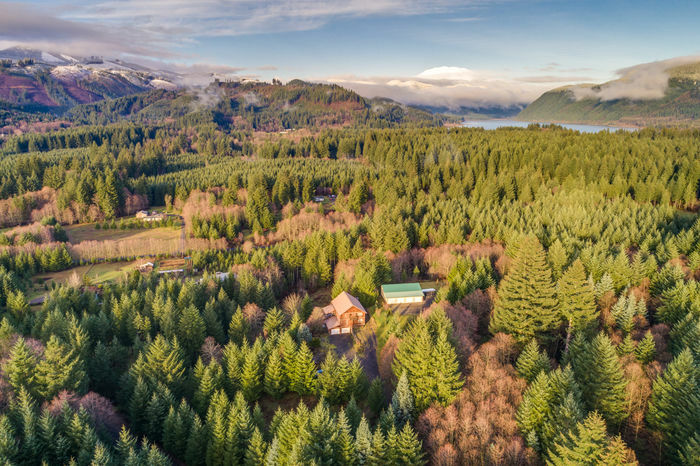 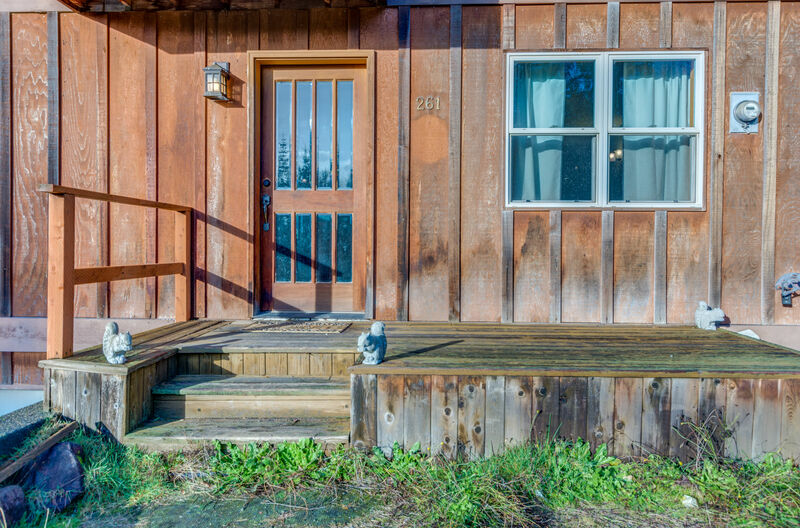 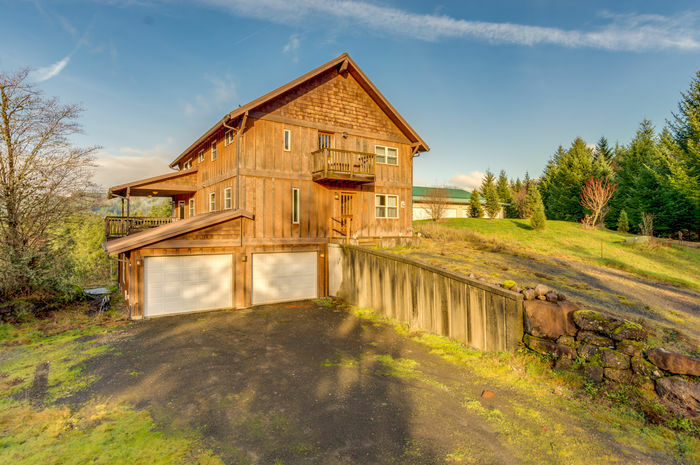 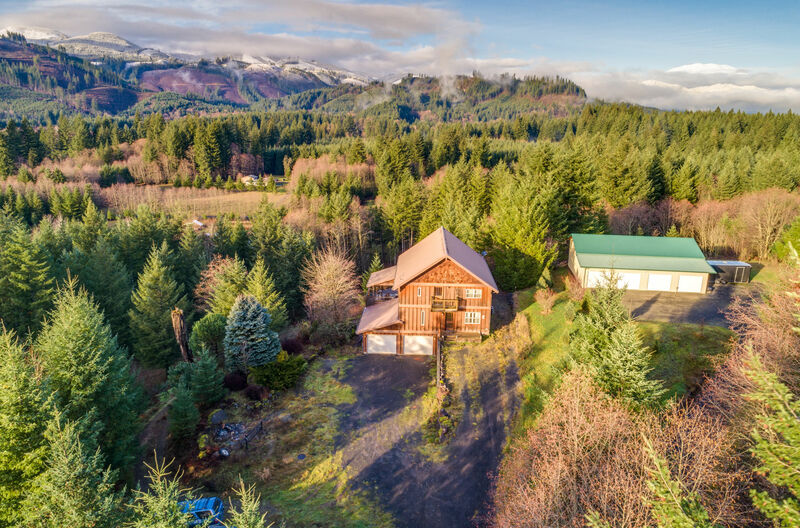 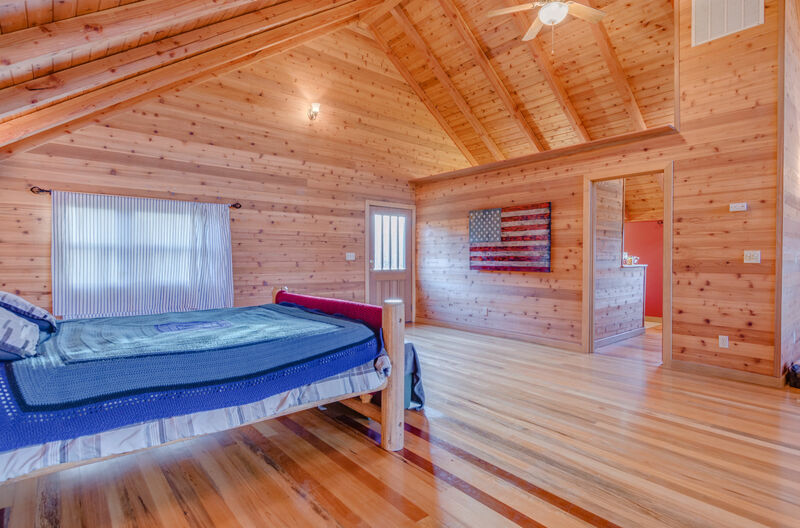 Stunning cabin style home on 5.06 secluded acres with territorial views! 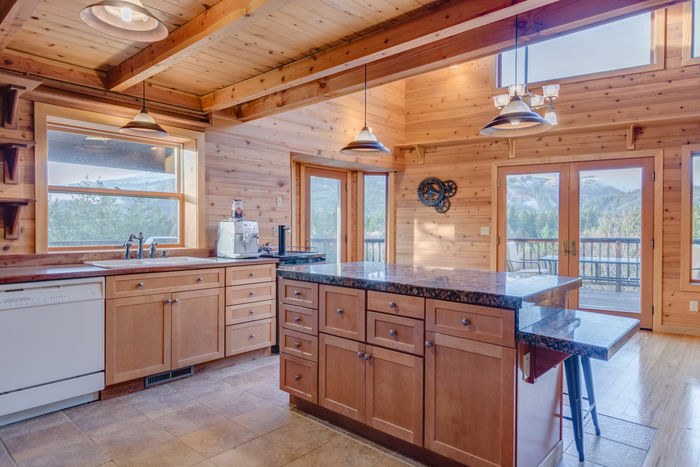 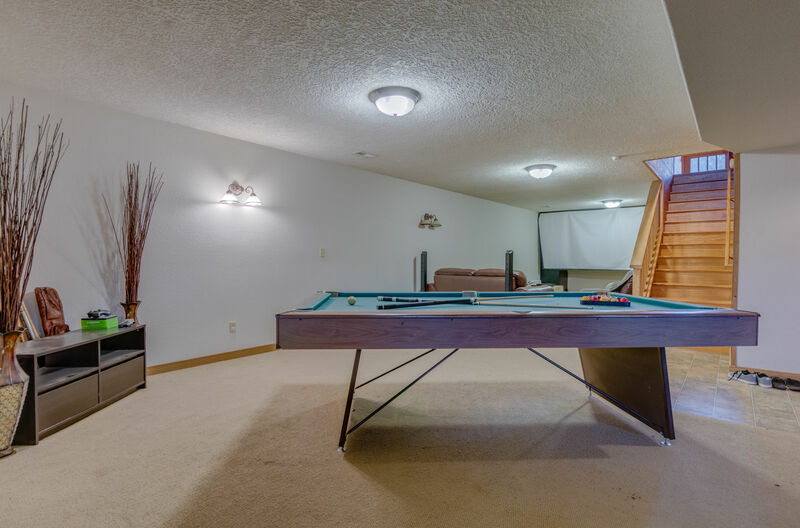 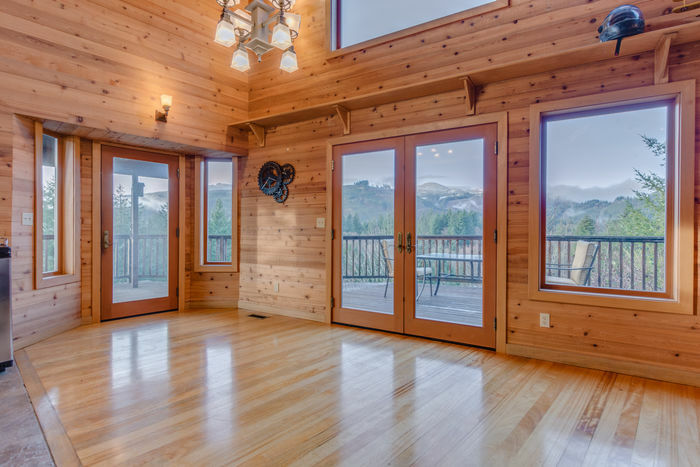 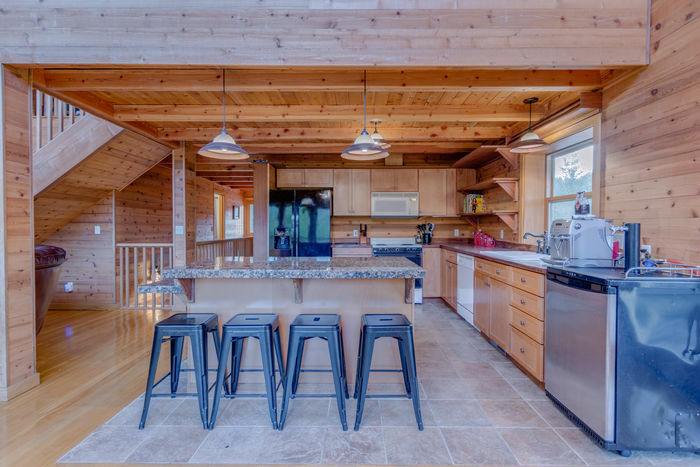 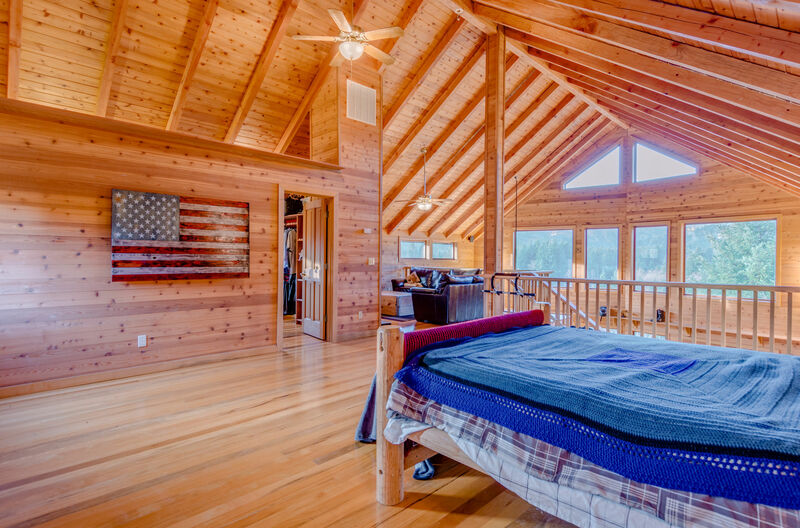 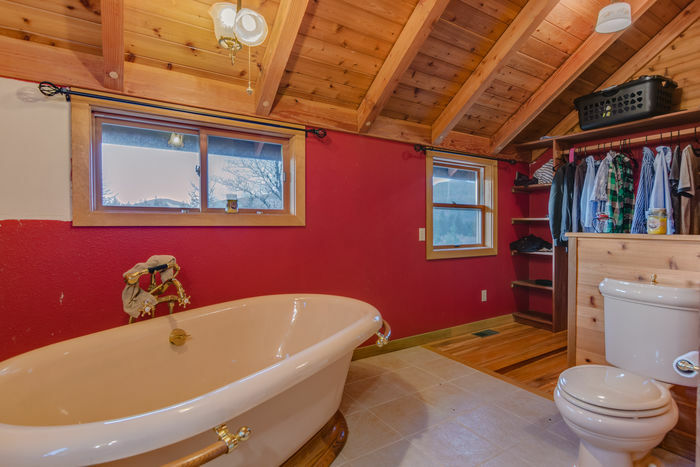 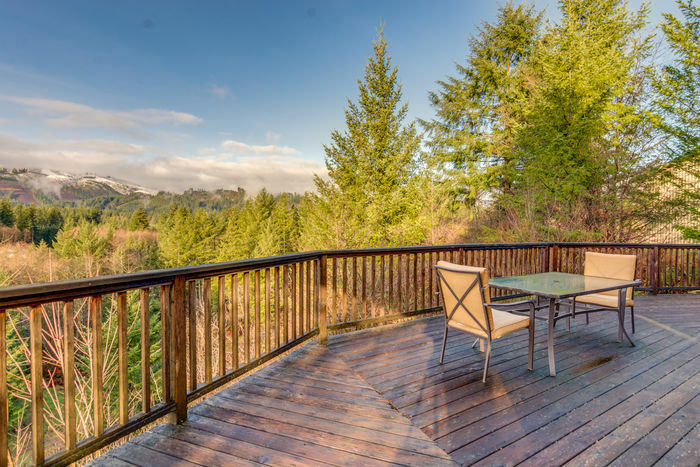 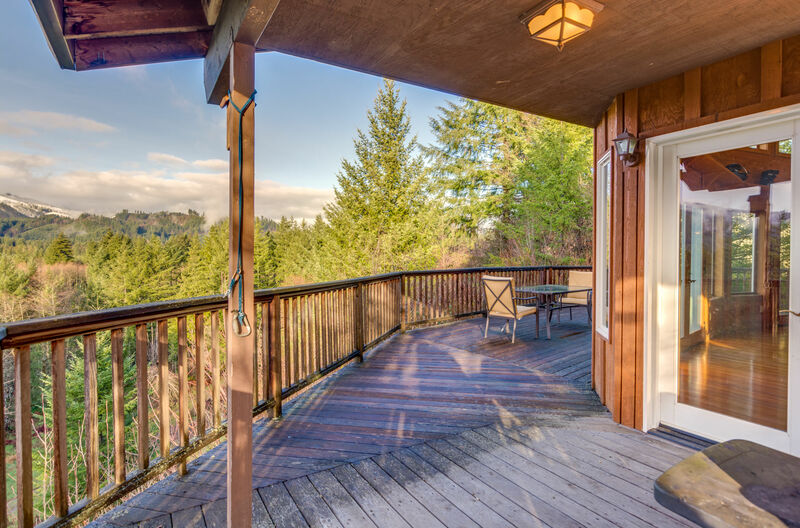 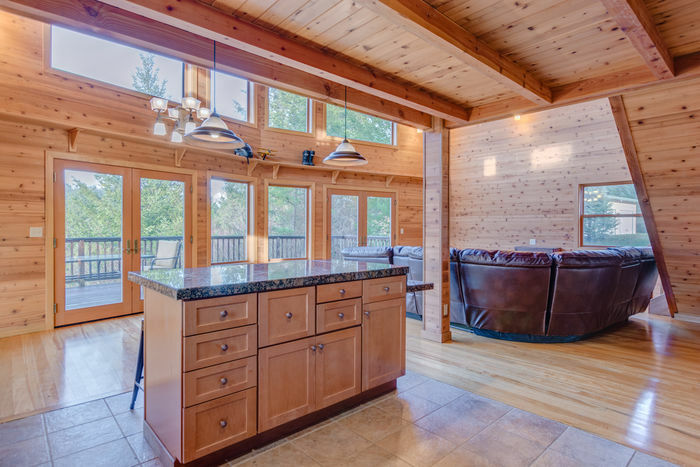 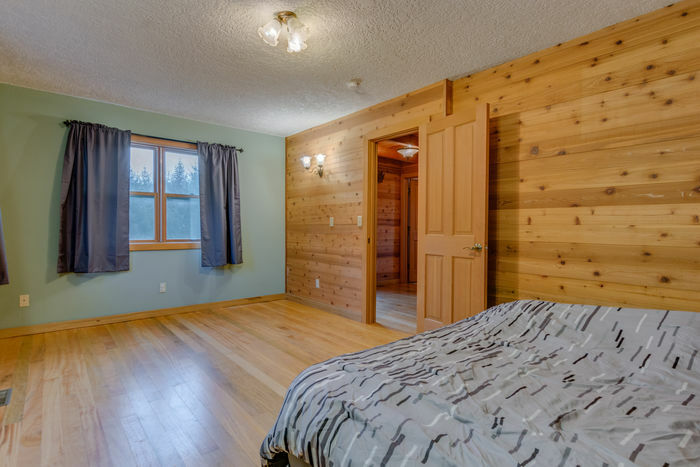 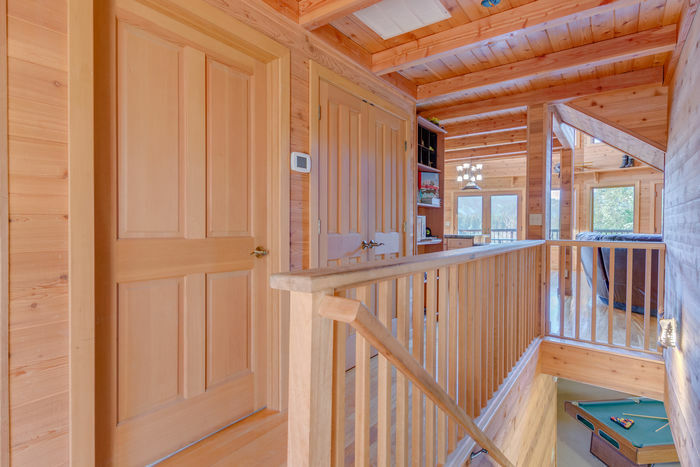 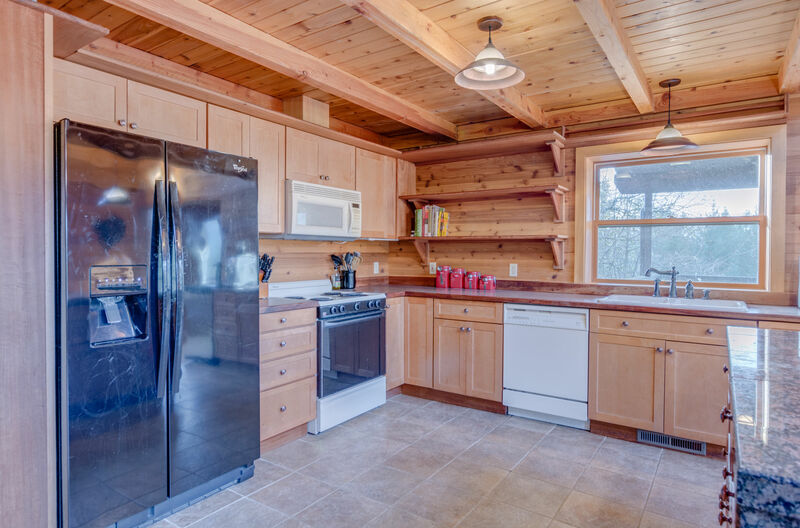 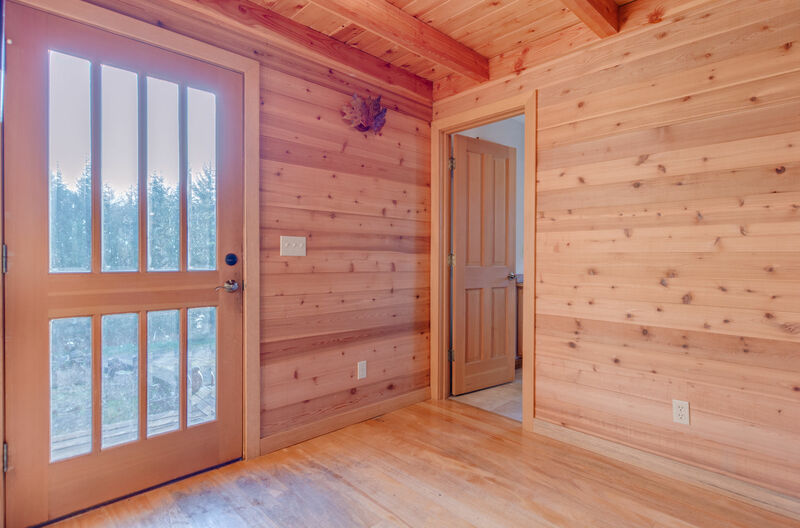 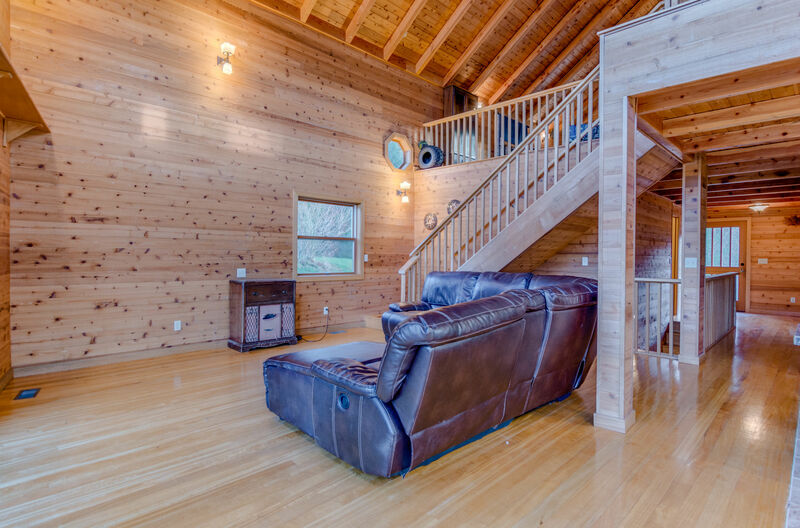 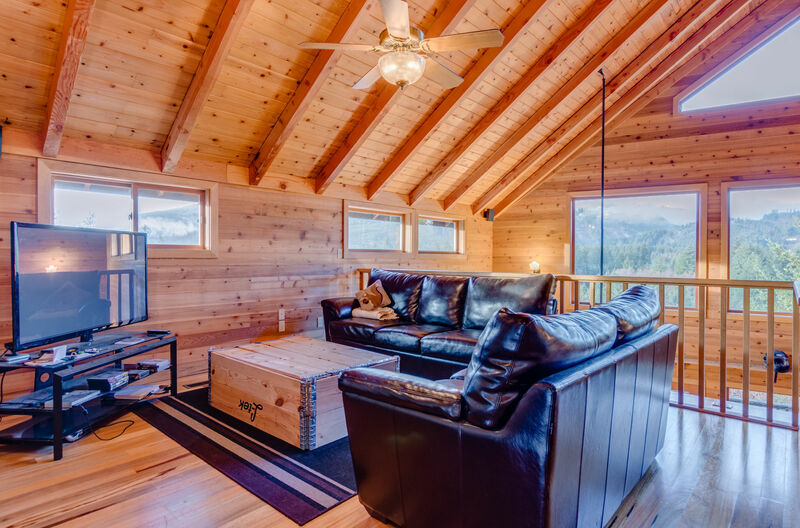 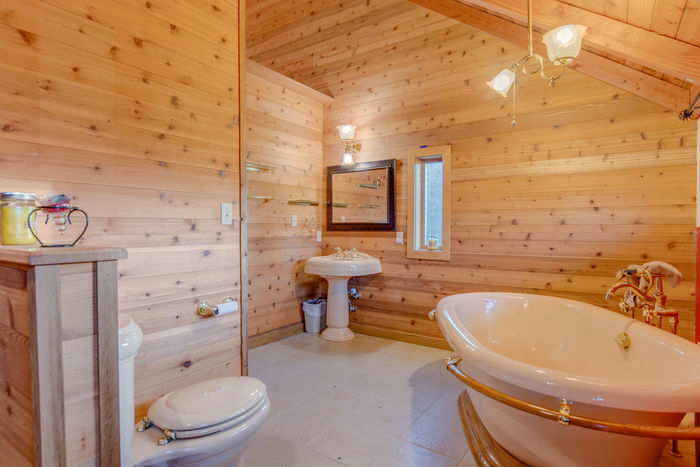 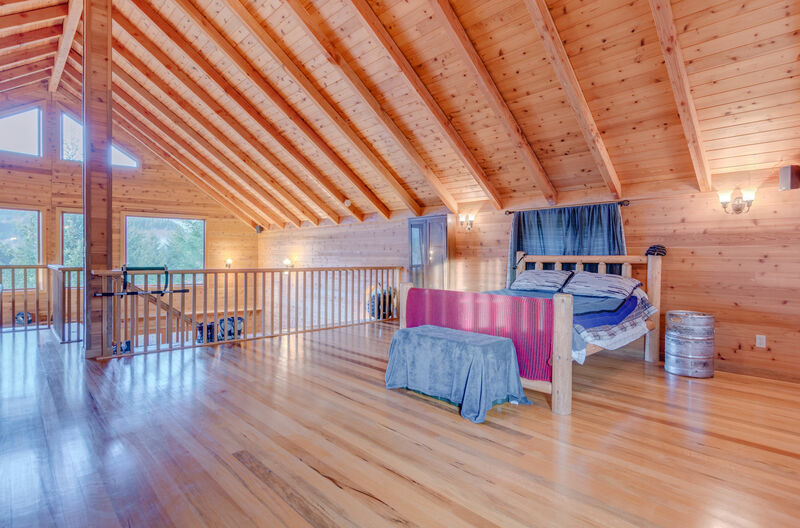 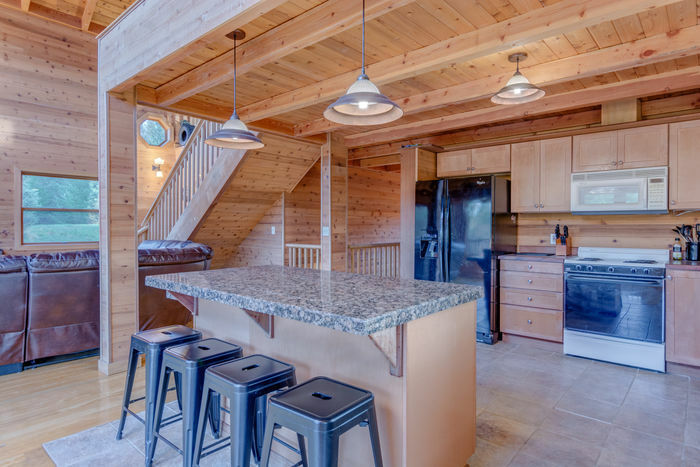 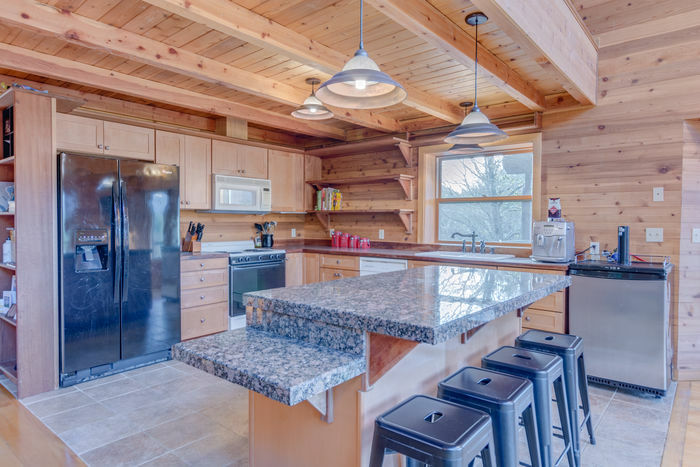 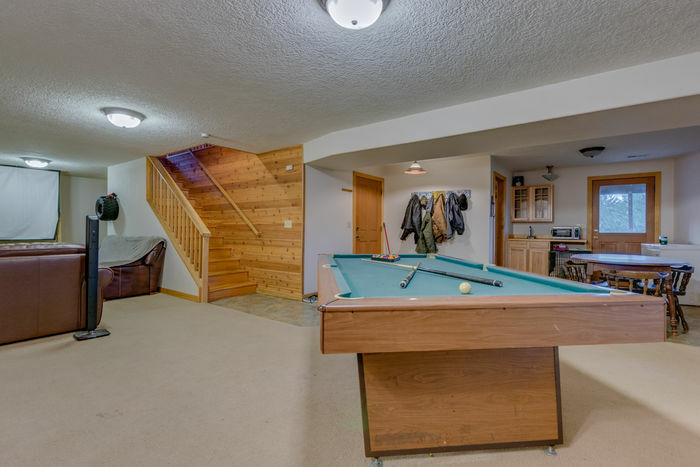 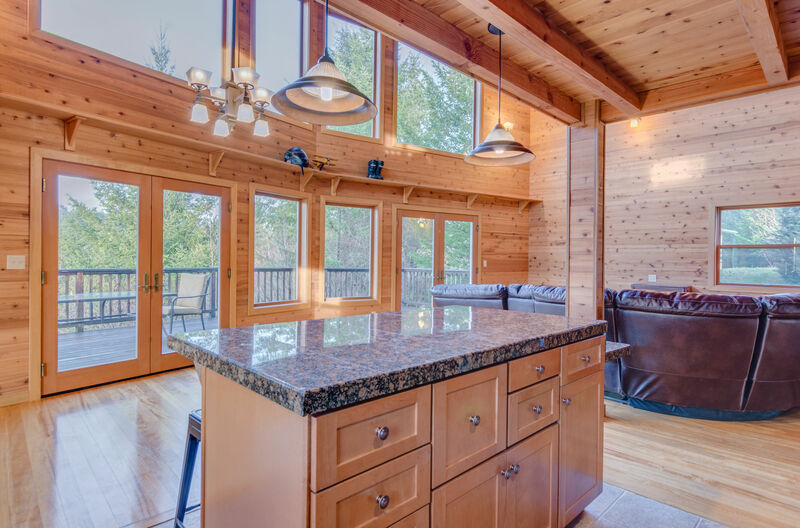 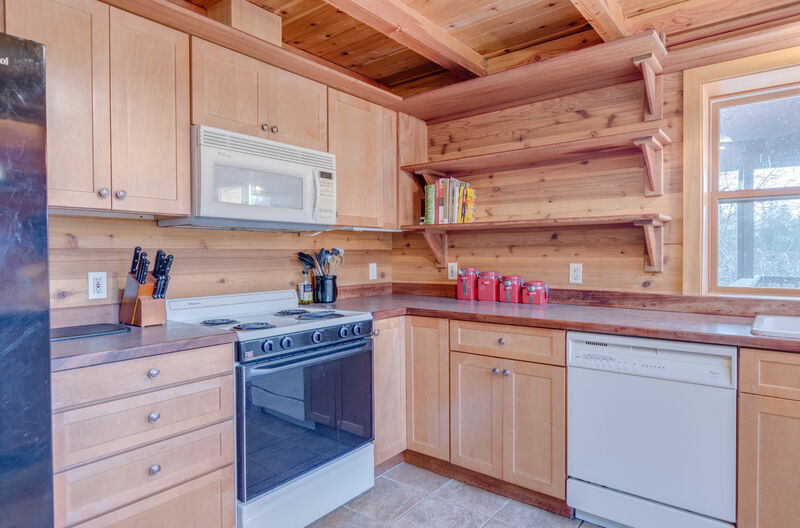 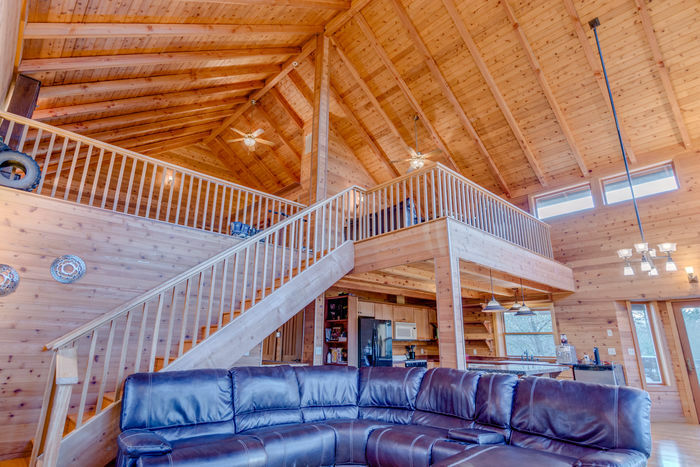 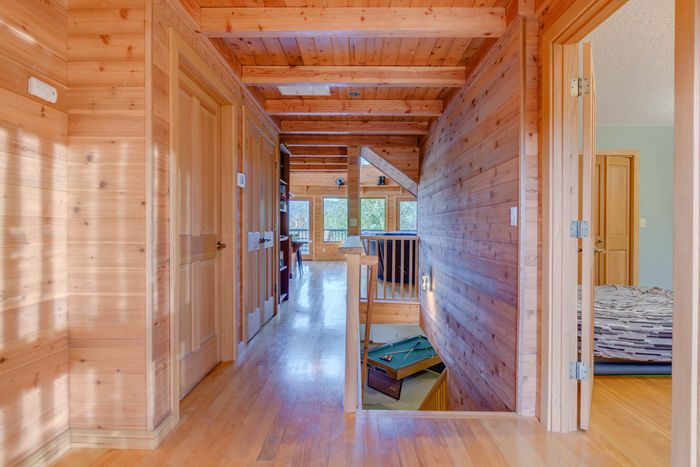 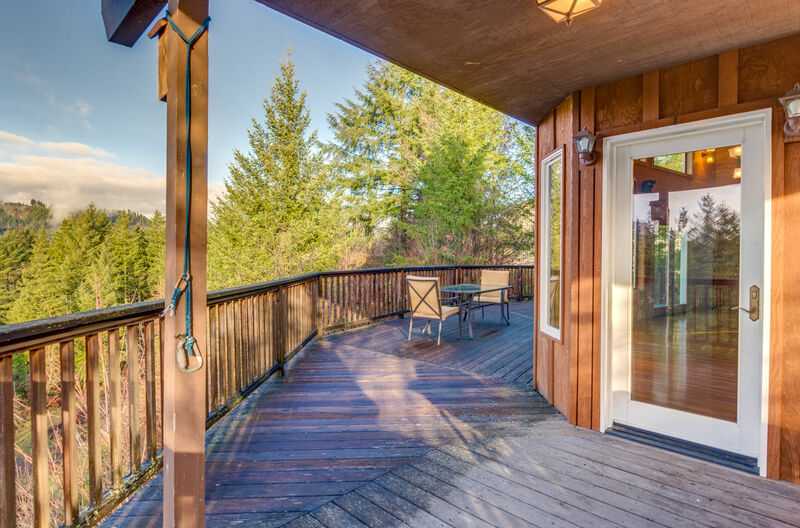 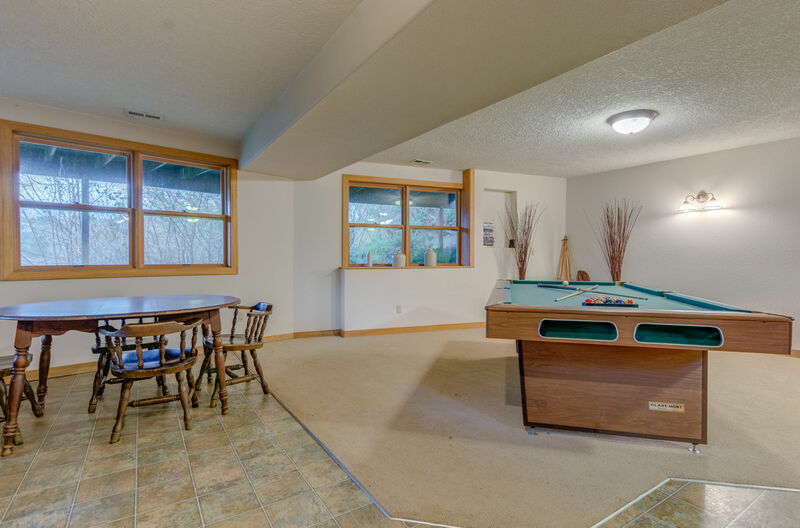 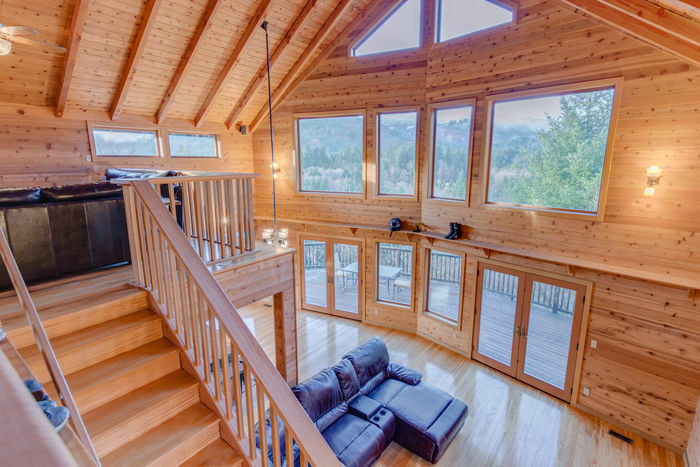 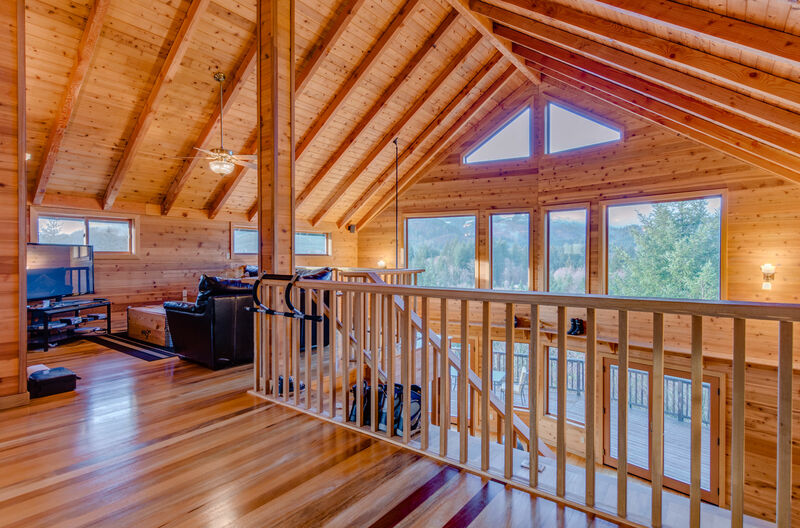 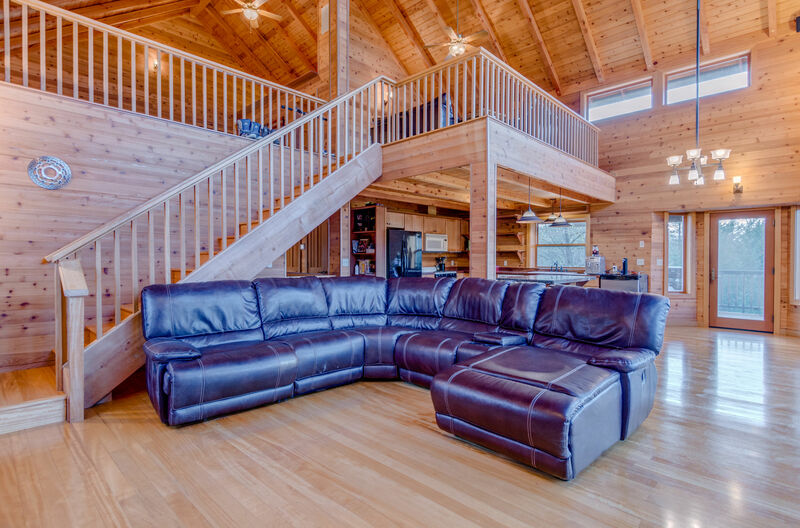 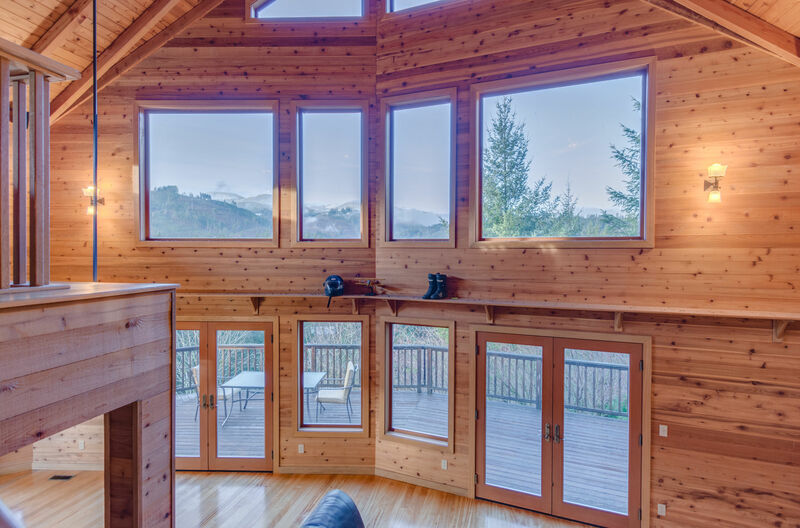 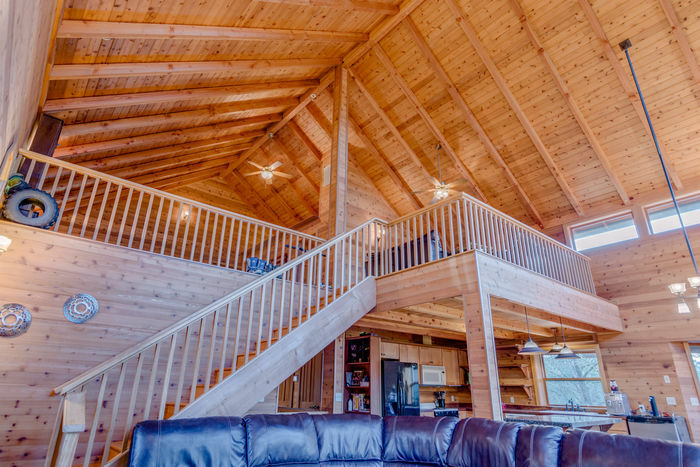 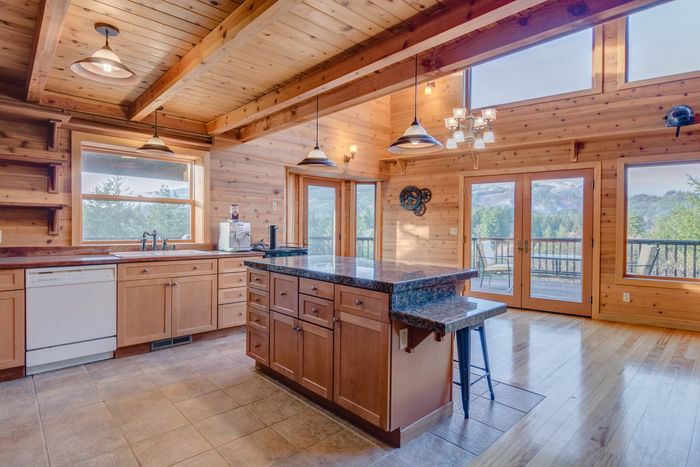 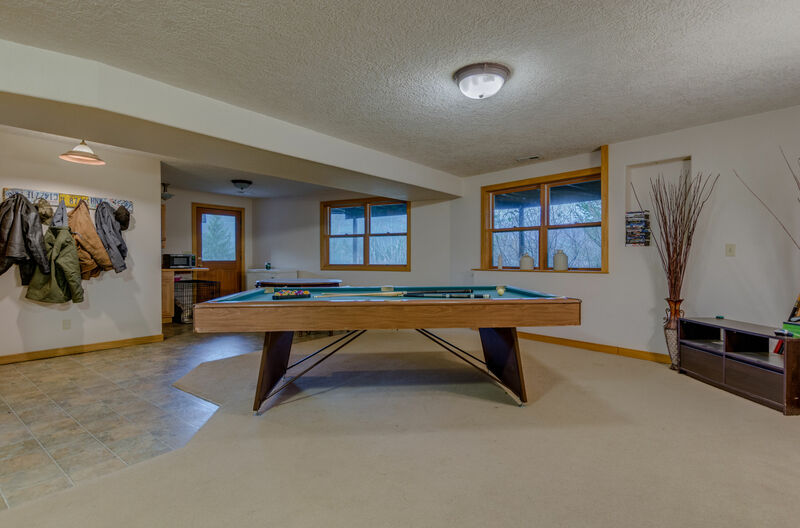 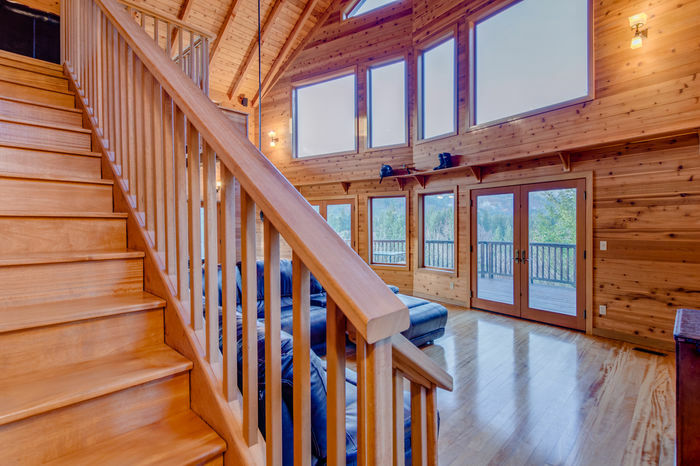 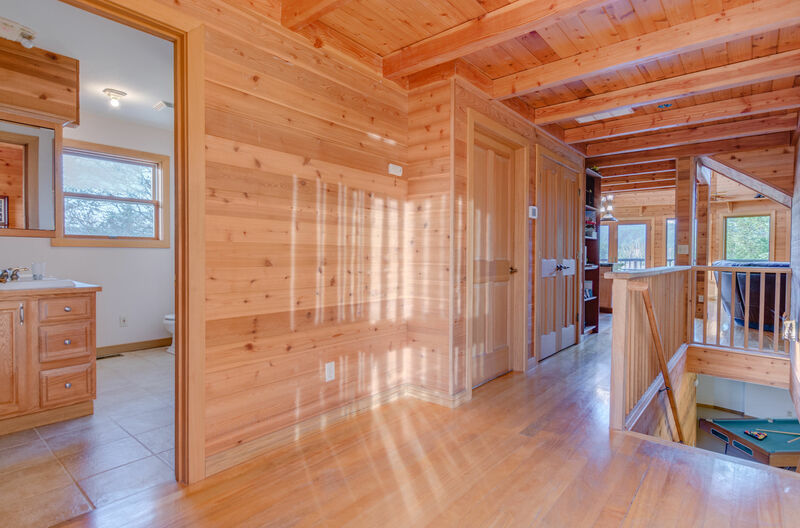 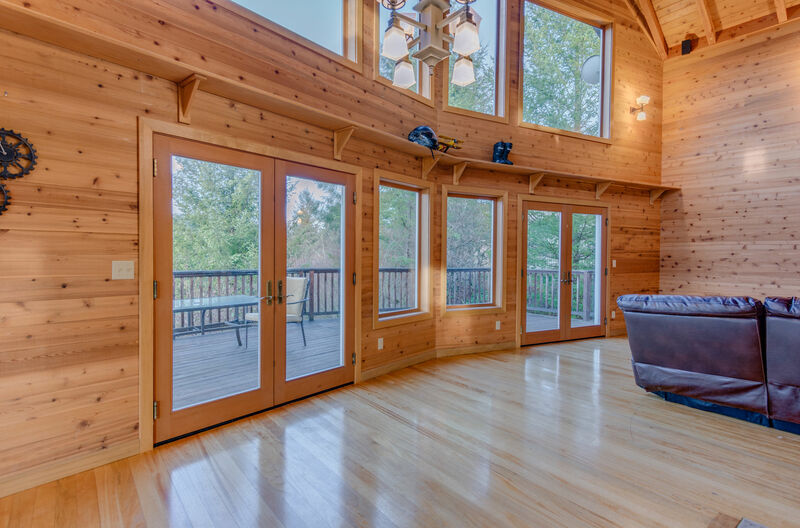 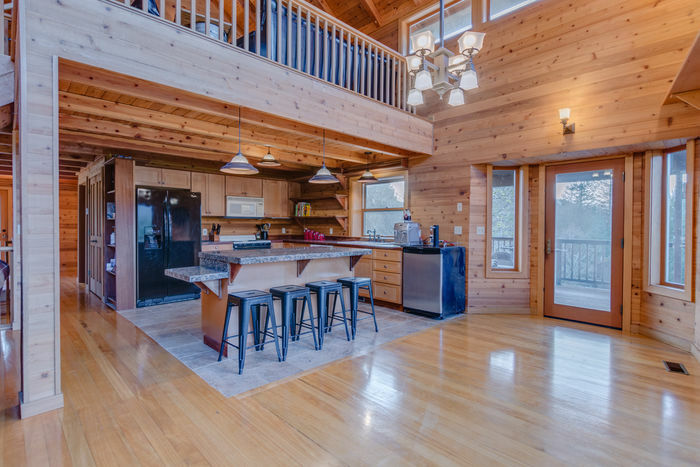 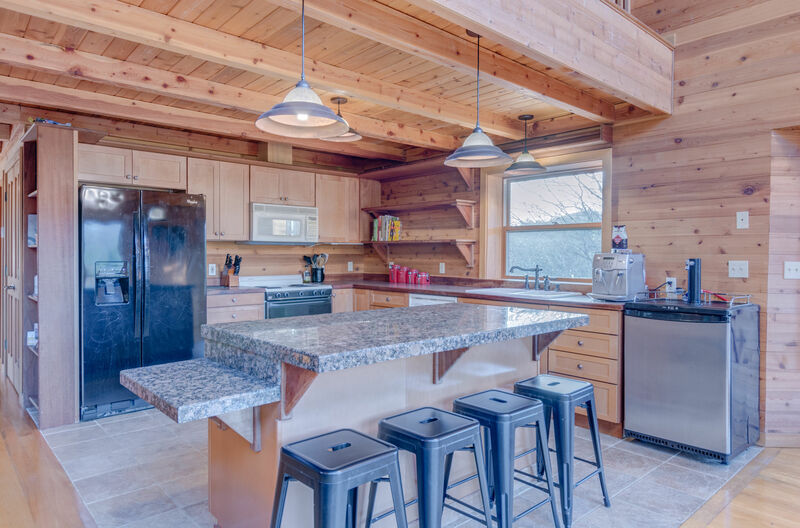 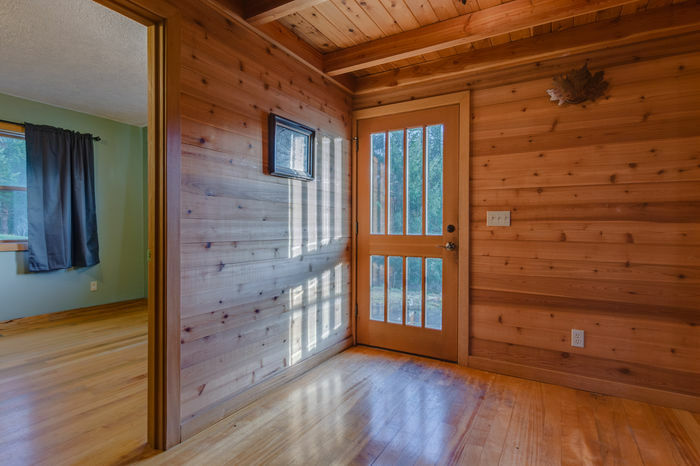 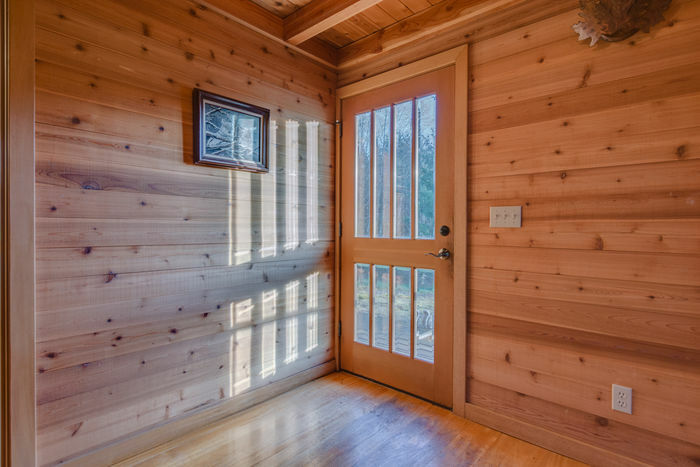 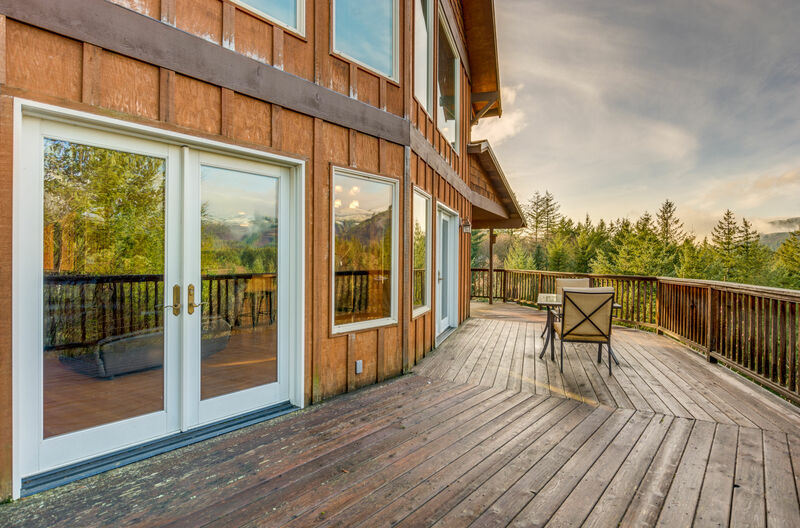 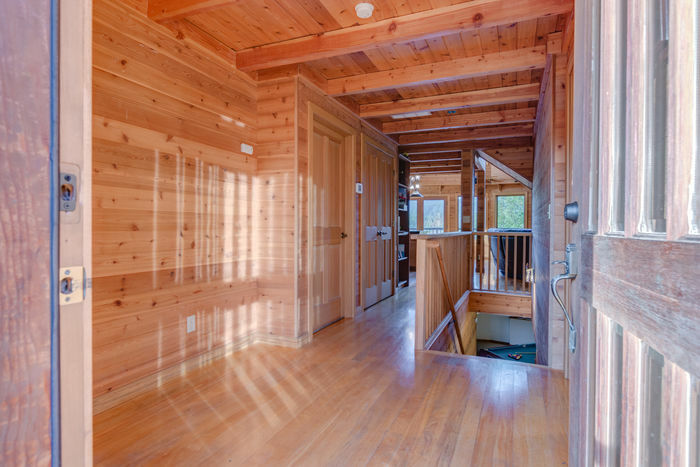 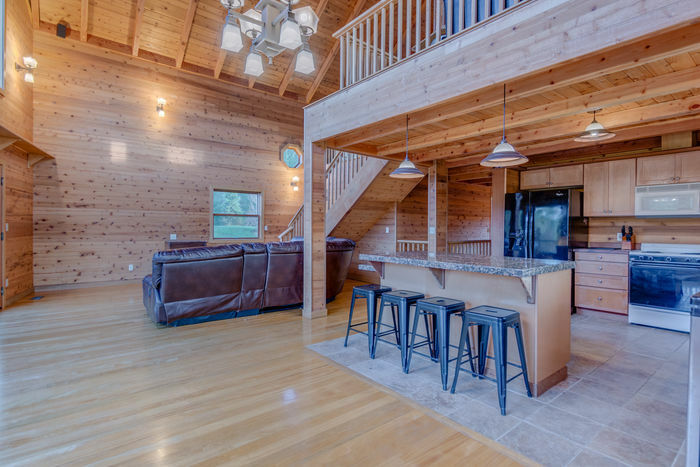 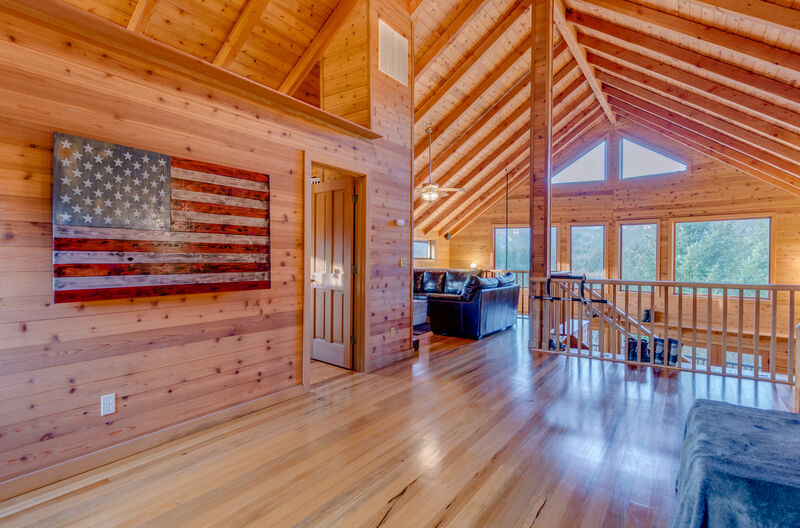 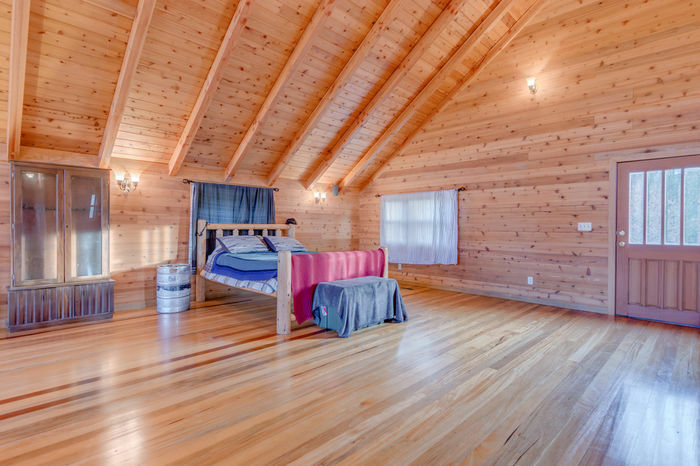 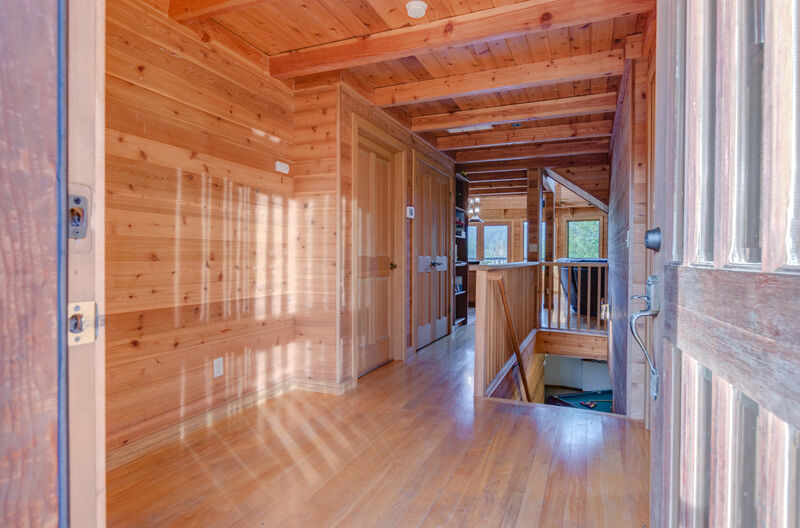 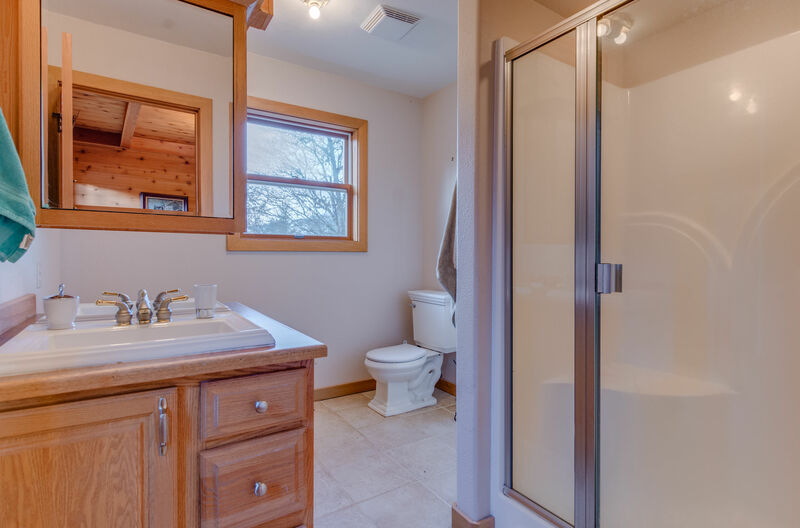 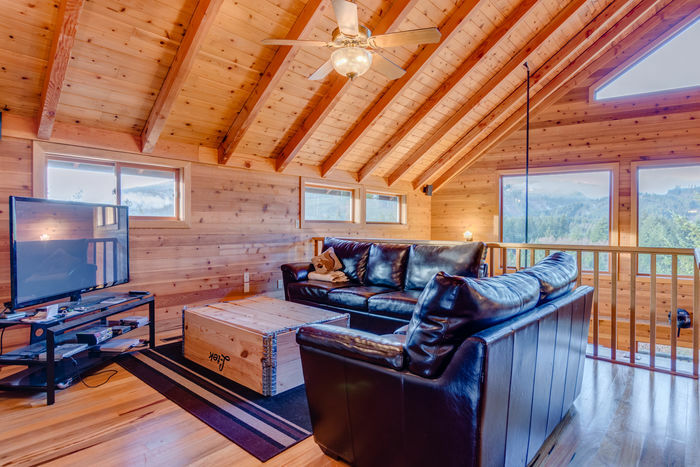 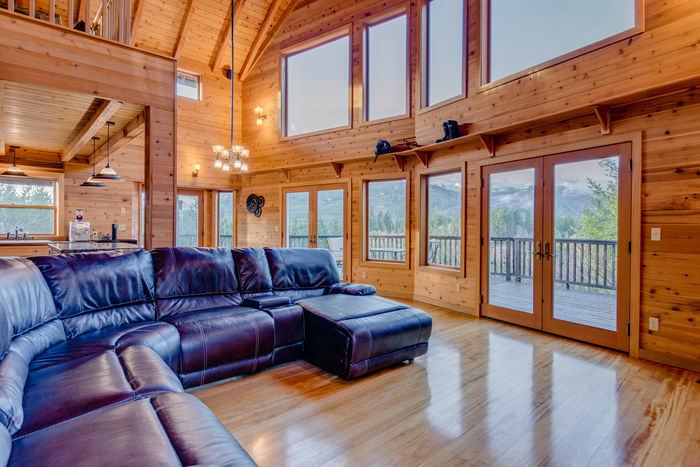 Expansive wood work, massive vaulted ceilings and gorgeous wrap around deck. 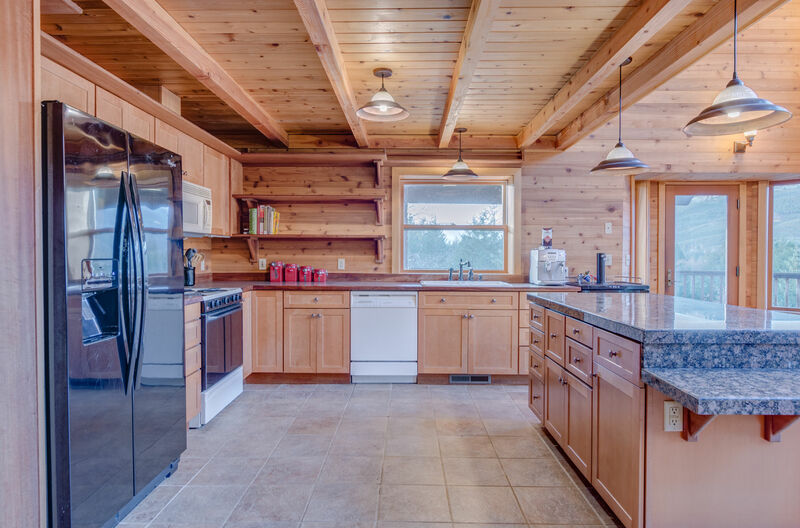 Upgraded kitchen with huge pantry and granite island. 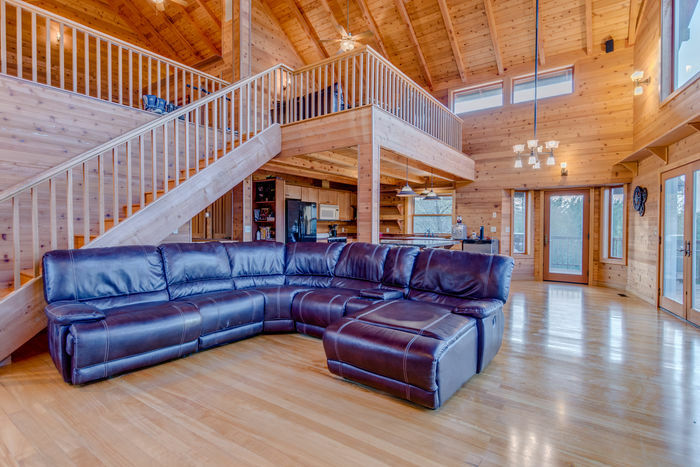 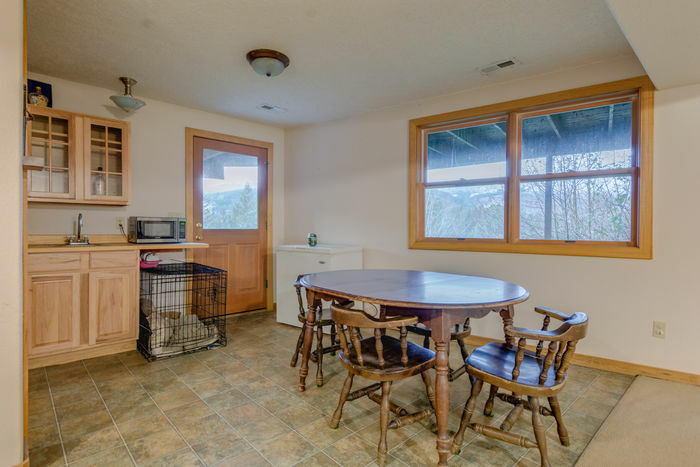 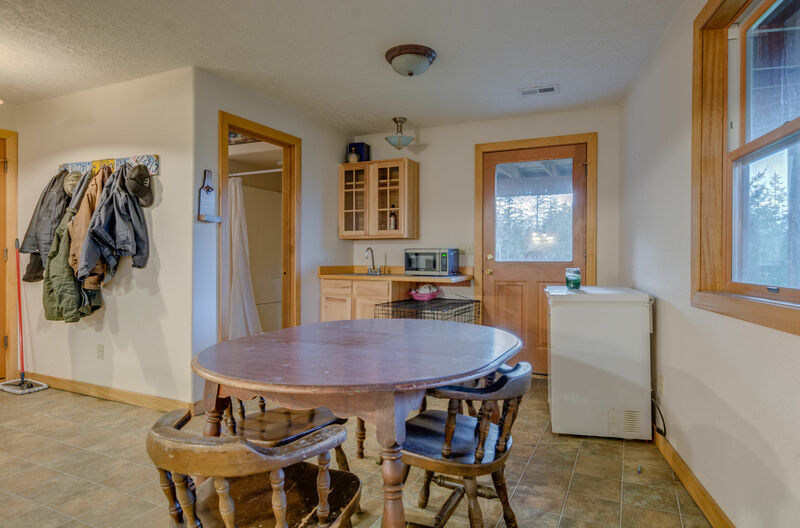 Huge living area and dining area with hardwoods. 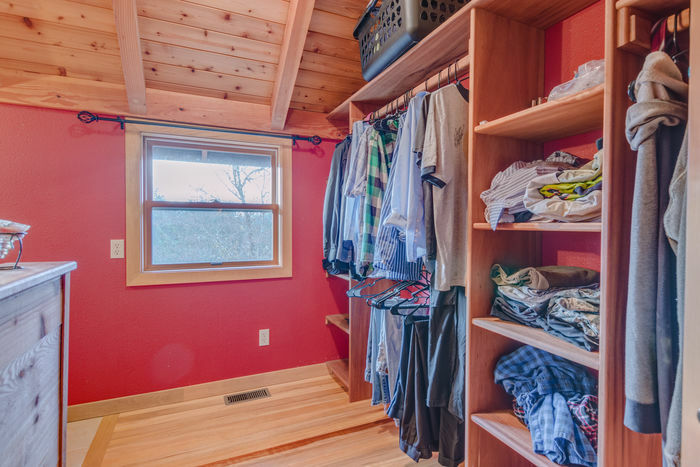 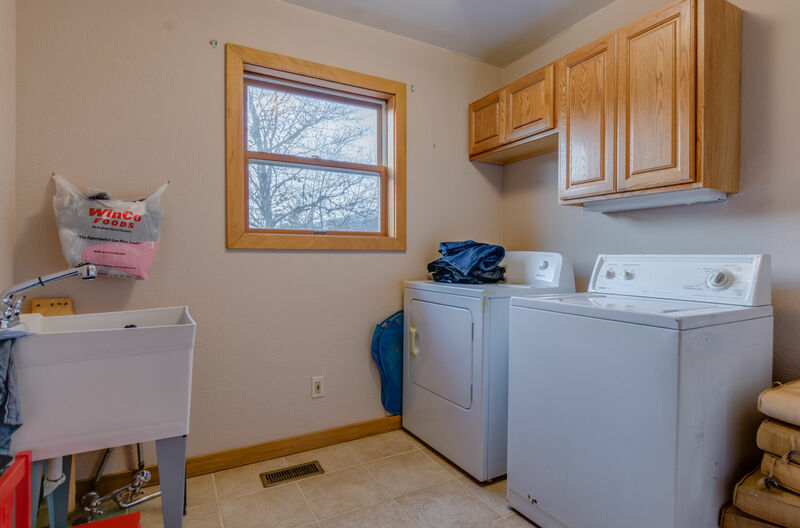 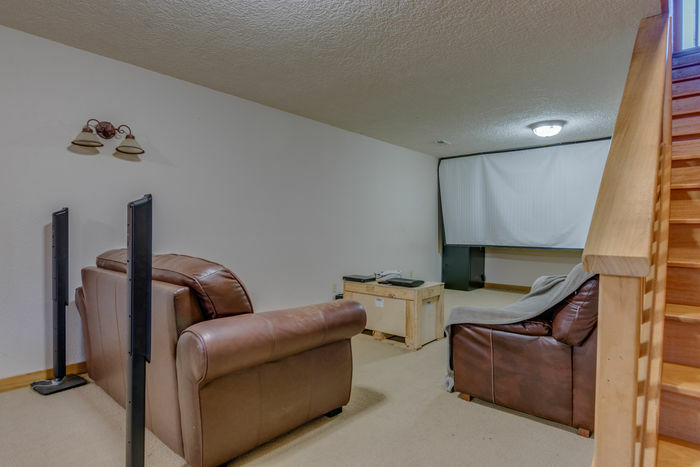 Upstairs loft master bedroom with balcony, living space and full bathroom with closet. 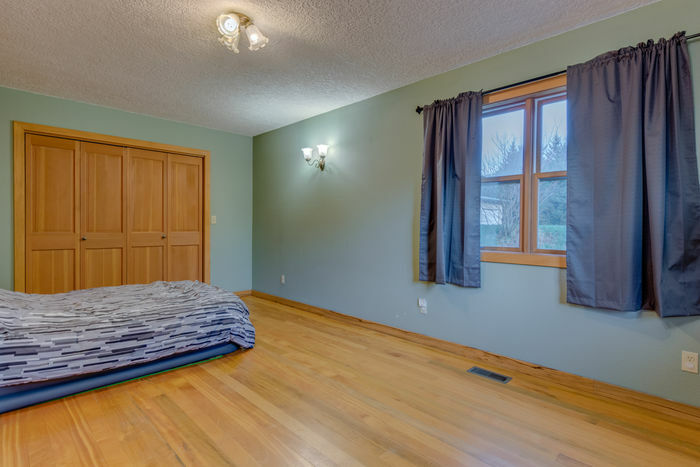 Downstairs potential second living area/bedroom with wet bar, full bathroom and separate entrance.